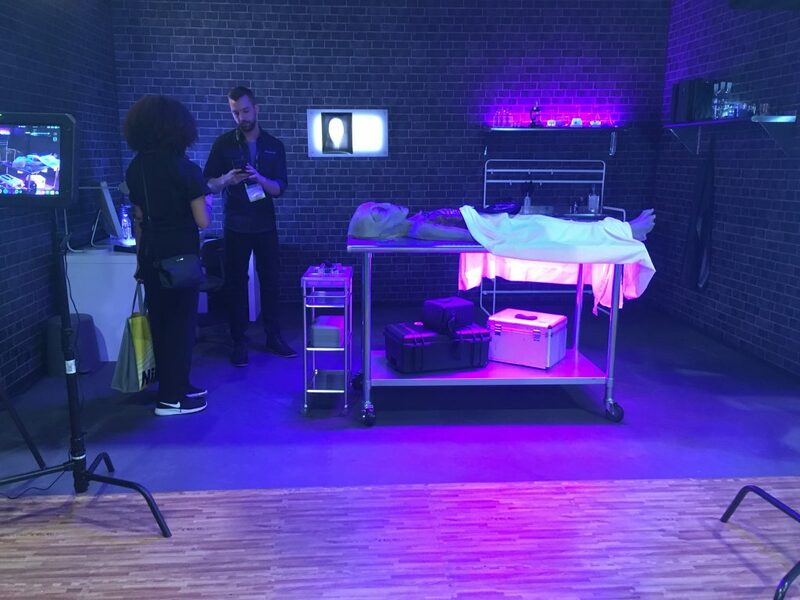 On the tradeshow floor, everything is important, but one of the most important is asking the right questions of your visitors. 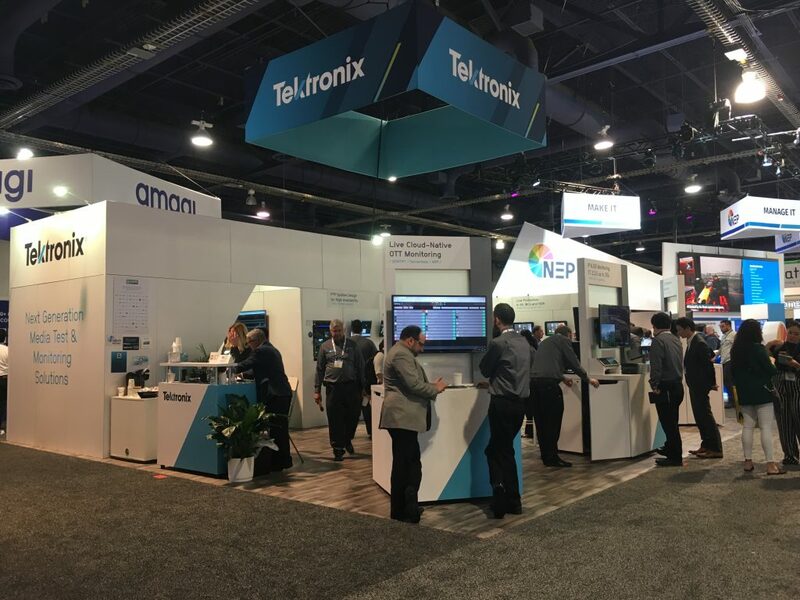 I’ve been at three tradeshows in the past 5 weeks: two large expos (Expo West and NAB Show) and a smaller regional foodservice show. In every show, I’m curious to see what questions are thrown out by booth staffers. Yes, some good queries are pitched. But most initial questions or statements aren’t of much use to the exhibiting company. None of those have much zing. Or pertinence to the situation. How do you come up with good questions? Let’s harken back to previous posts on this blog. To pose a good question, first understand what it is you’re trying to find out. Do you currently use our product or a similar product? Are you considering making a purchase soon? When? Who makes the decision? You? Or is there someone else that is involved? Do you have the money you’d need to invest in this product or service? Many shows really aren’t trying to make sales on the spot. 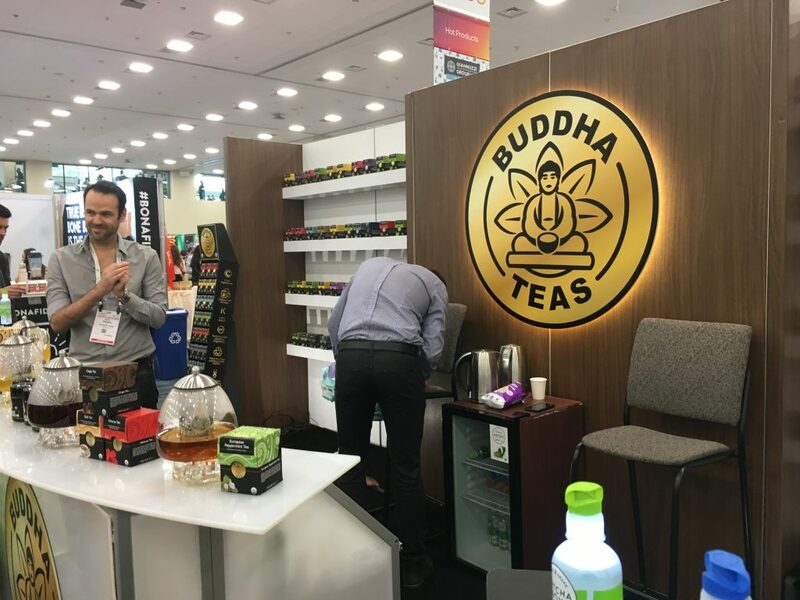 For example, the bigger expos are more about branding, launching new products and making connections with current clients, partners or distributors. 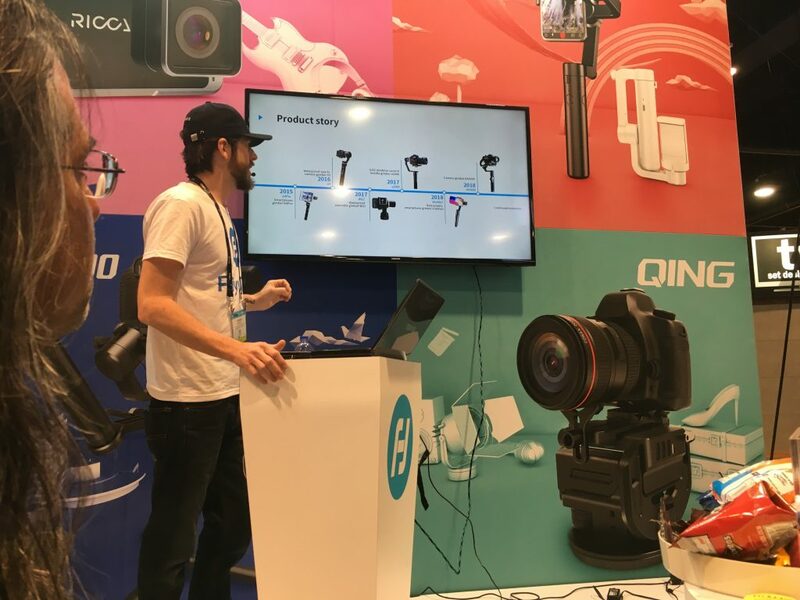 In this case, what’s important is to get visitors to either sample your products (such as food), know about the new products, or in the case of other products such as electronic gear, cameras, software and more like we saw at NAB Show, to make sure that visitors were able to learn as much as they needed. 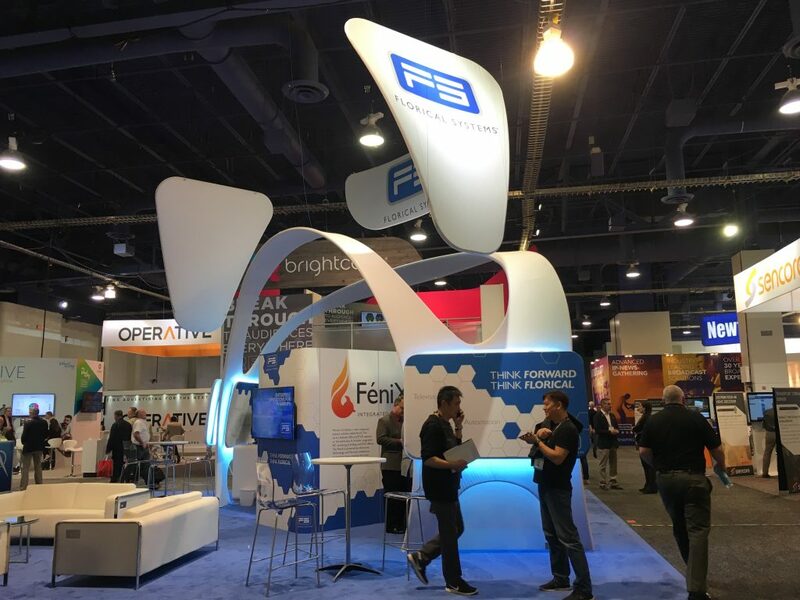 The company is paying good money – usually a lot of money – to exhibit at the show, which means that every visitor is critical. Ask good questions. Stay off the phone. Don’t eat in the booth. And don’t ask about the weather! 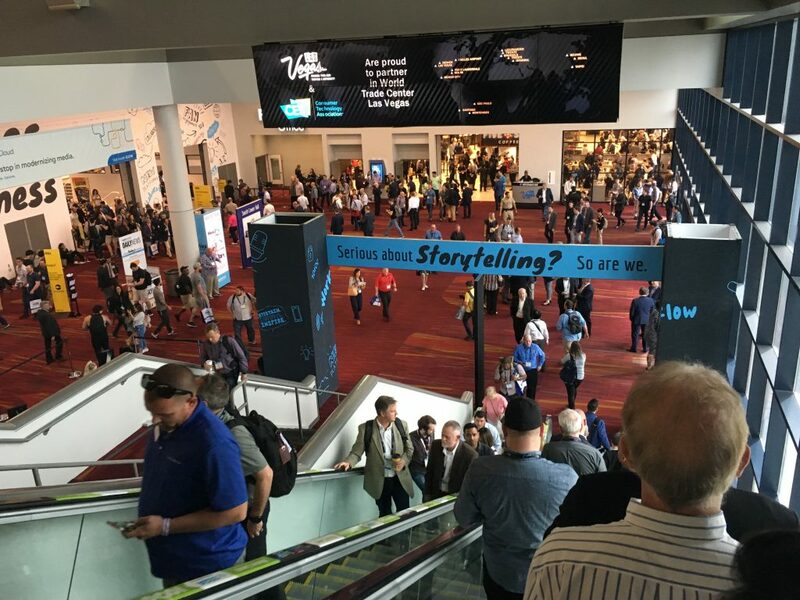 Having never attended the National Association of Broadcasters Show in Las Vegas, I did not have a full grasp of the scope and size of the show. And once I was walking the floor earlier this week, it still took a few hours to fully comprehend how freaking big it is. 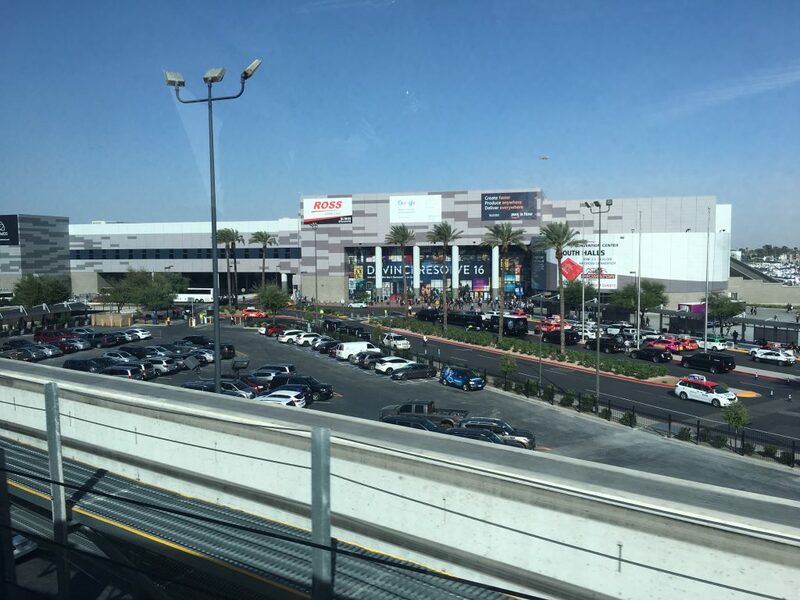 There are nearly 2 million square feet of exhibiting space in 13 halls separable by movable walls. 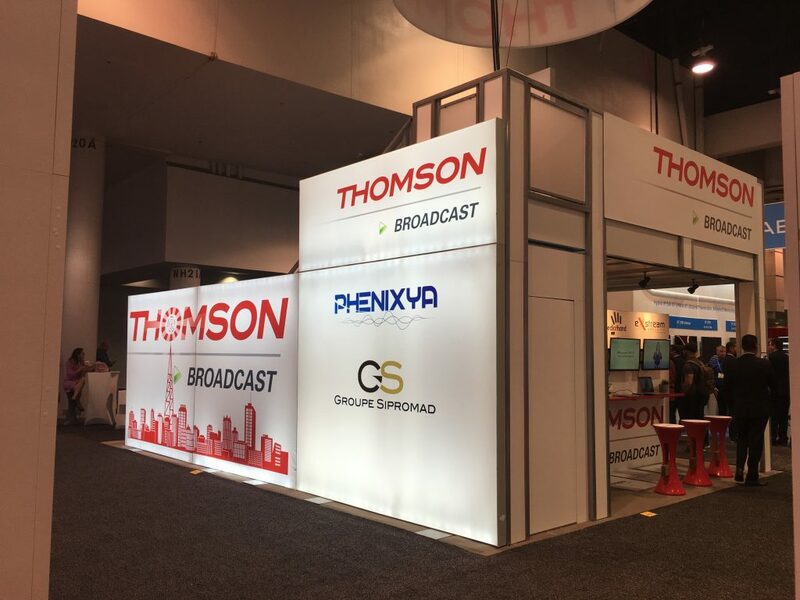 Over 90,000 attendees showed up along with over 1600 exhibitors to see the latest in video and audio tech in all its glory: broadcast and cable TV, sports, podcasting, radio, lighting, cloud services and much more. It was all there. And it was overwhelming. The biggest takeaways? 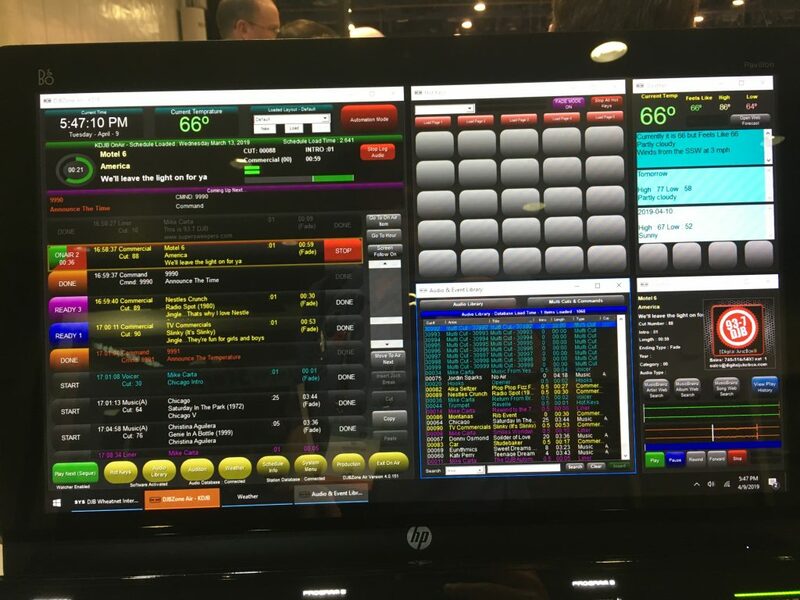 As an old radio guy who started his career by playing single 45s on a turntable, I can safely say: we’ve come a long way (mentioning those 45s to the 20 and 30-something folks staffing the booths also was a good way to bring forth those puzzled looks along with a hesitant chuckle – yeah, I know I’m old). 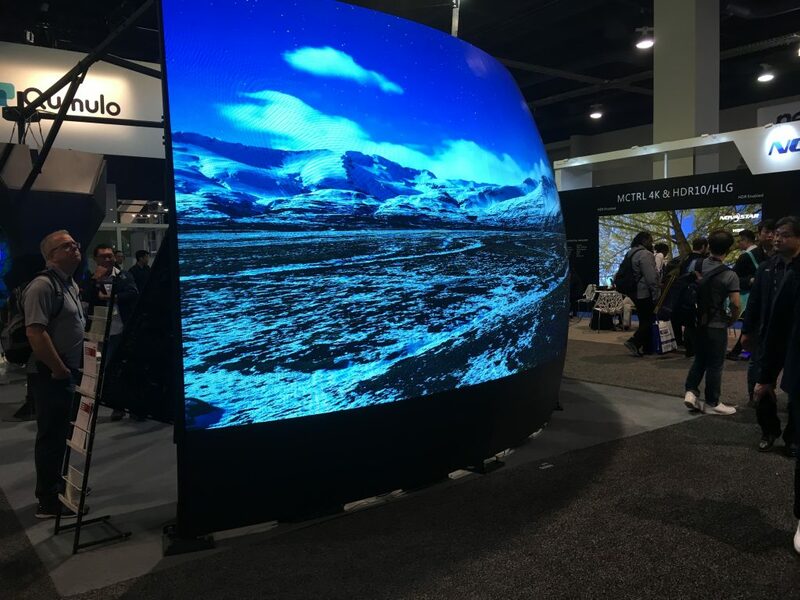 Video is huge, as are the gigantic video walls, which seemed to adorn nearly one out of three booths. Quality is impressive. Cameras are going up in quality as the price creeps down. 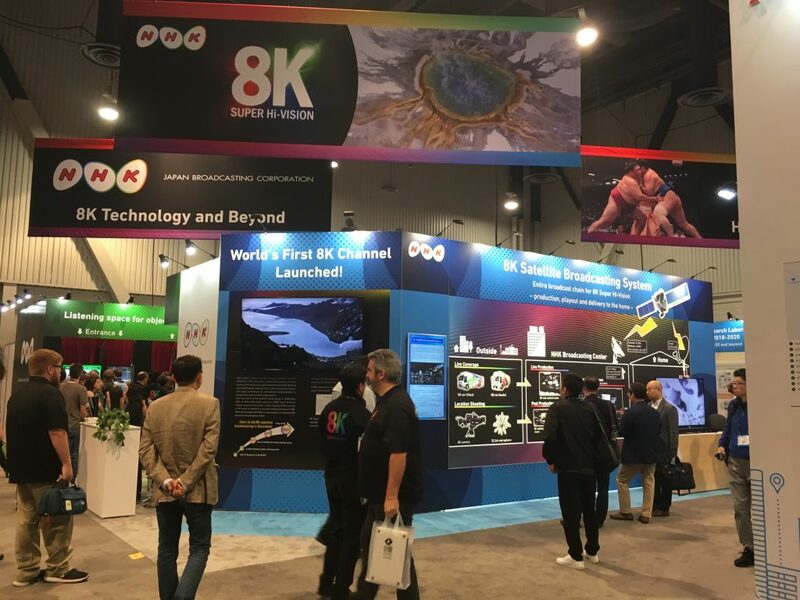 Seeing and playing with 8K cameras showed attendees what the working video world will be working with soon if they aren’t already. 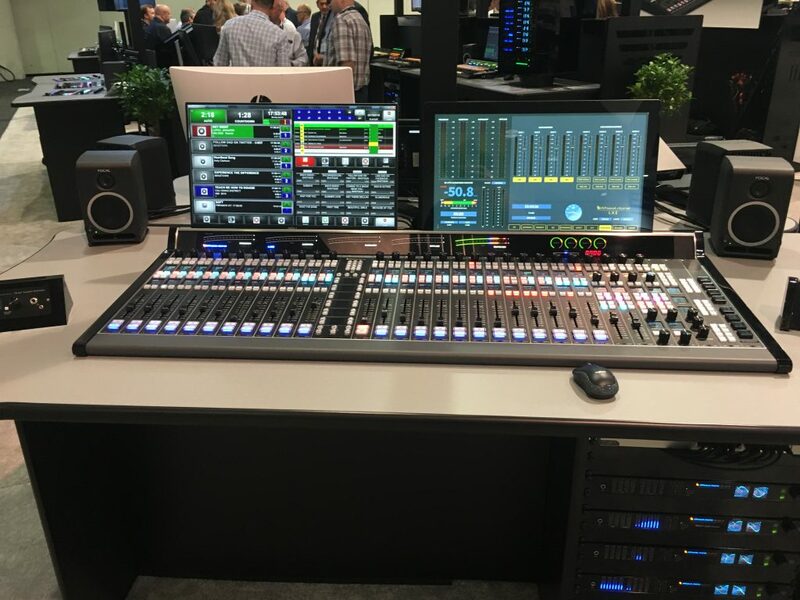 Audio production, and in particular, the production of audio in conjunction with video, is a really big deal. 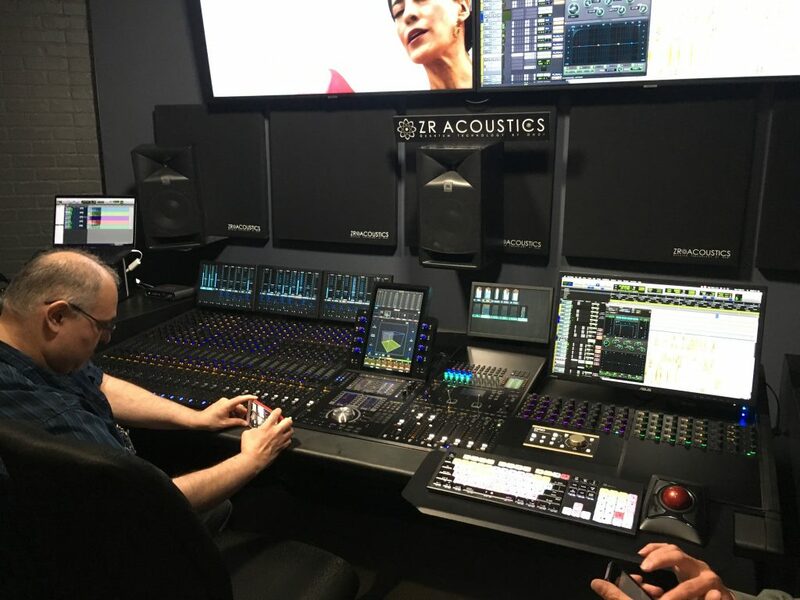 Avid’s booth featured a large screen displaying how they mixed the music that was a part of the Oscar-winning Bohemian Rhapsody. Also there were the Oscar winners, who sat on a panel discussing the process. 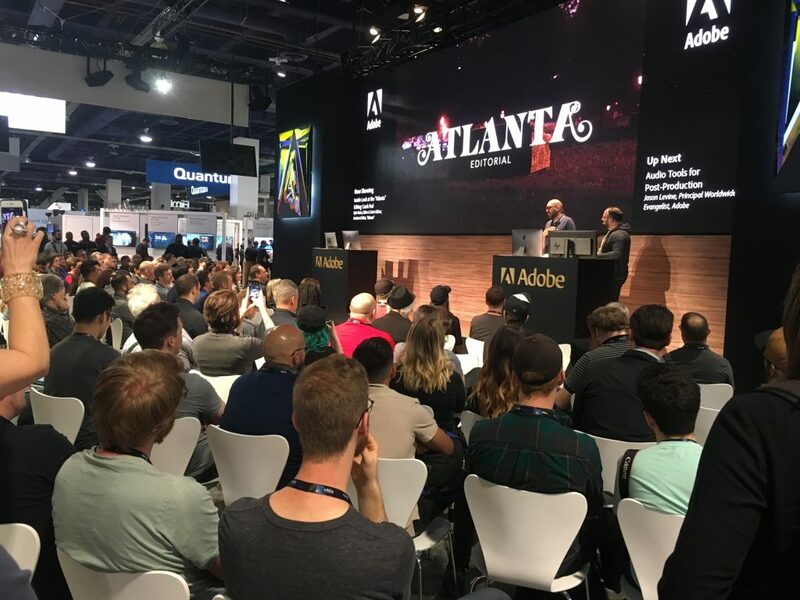 Visitors also could partake in training on a large scale: Adobe, Avid, DaVinci Resolve and many others were doing full-on all-show-hours in-depth training on their latest products. 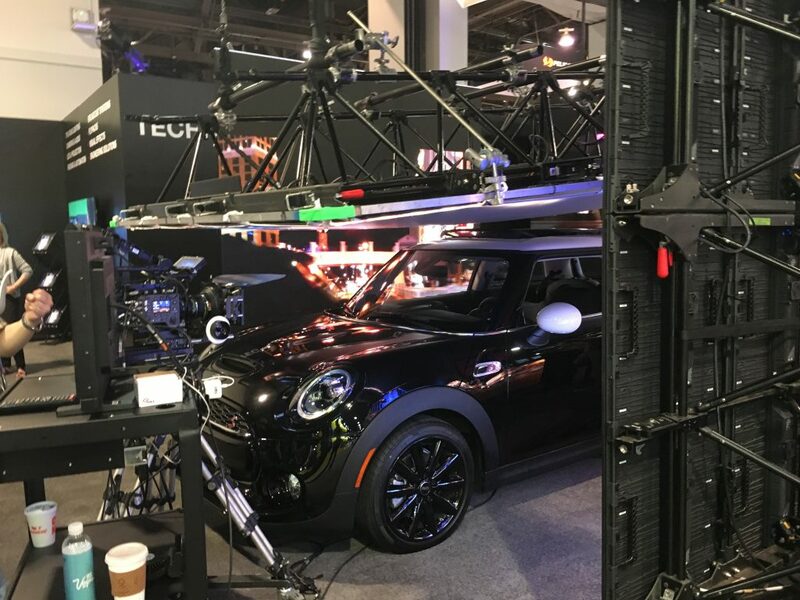 From an exhibit standpoint, I also saw something I’d never seen before: many video camera and monitor manufacturers built set and had them populated with stand-in actors. The idea was to give visitors a chance to put their hands on the various cameras and zoom and pan and see how everything worked under conditions that replicated what they’d find on an actual set. I also saw at least three stationary cars equipped with cameras to film actors as they drove. One exhibitor went even further: behind the car there was a large video image of a road as if the car was moving. On the right and left were more screens with similar images. 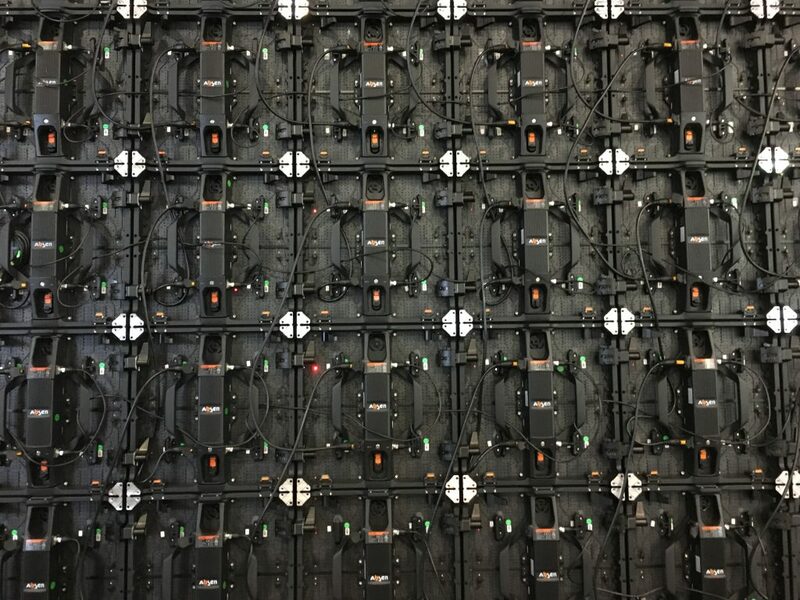 And for the coup de grace, a large video panel suspended over the entire car which simulated the movement of the sky, reflections of streetlights and more. An actor need only sit in the car and everything else is captured in one take, with little post-shoot work needed. How to film a scene in a car to make it appear it’s really moving. Lots of international exhibitors, including Europe and China, Korea and Canada among the more prominent. It seems pretty common that exhibits from China and Korea will set up exhibits with walls that enclose much of the space. I don’t see that as much from US exhibitors, so my hunch is it’s a bit of a cultural thing. I also don’t think humor passes easily from culture to culture. One exhibitor from China had a McLaren automobile on display (wasn’t really sure of the purpose, but it certainly looked sharp). As I was talking to one of the reps, I joked that maybe they should raffle off the car at the end of the show. All I got in return was confused look. Hey, I thought it was funny! Exhibits were impressive from the big companies, and many of the smaller companies also had a good look. Although as in any show, you always see the smaller companies in the 10x10s around the edges of the main floor struggling to be seen or to even have something worth seeing. 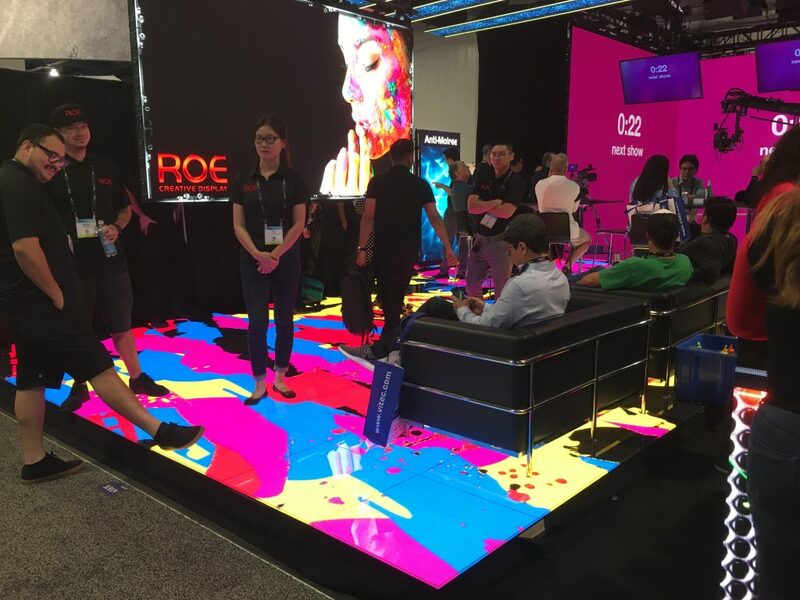 The most impressive things seen in the smaller booths were the company’s product lit up with LED, or something moving that catches the eye. Esports had its own section, showing off gamers and gaming. We know that gaming has become a multi-billion dollar industry and if you search for esports competition, you’ll find a lot. There were panels and competitions taking place in the section, but frankly, since I’m not a gamer, it didn’t hold my interest that long. However, my 18-year old son probably could have spent all of the show in this area and it wouldn’t have been enough! They’ve got their eyes on you! The tech that supports radio, tv, cable and Internet was also displayed throughout the halls. 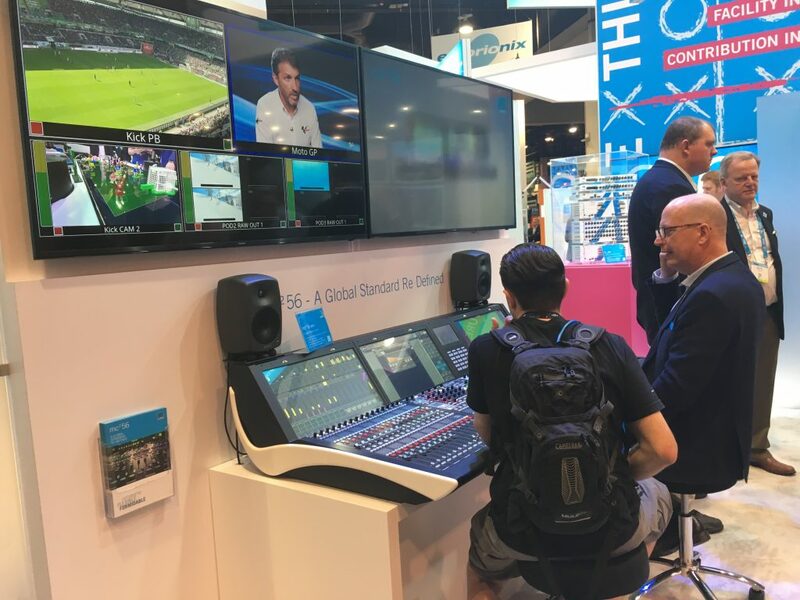 Not being a tech guy, much of this was over my head, but impressive nonetheless: network, audio, video controllers; studio design and audio and video production boards, facility infrastructure, transmitters, processors, automation software, captioning AI, streaming, scheduling, logging, transcription…you name it, somebody was here promoting it. I talked to well over a hundred people about the show, how it worked for them, how it helped create leads, sell their products. Most told me it was a great show for them. Several said this show in particular was the one show that gave them most of their good leads for the year for them to follow up on. But not everyone agreed. One woman I spoke with said she’d been coming to the show for thirty years, and it’s not the show it used to be. One comment she made totally threw me. She said the “little Sony” booth wasn’t impressive at all. My jaw dropped because I’d been at the Sony booth (probably around 10,000 square feet) earlier in the show and determined it to be one of the top exhibits there, going so far as to walk through the booth for a minute or two shooting video to capture it all. But no, she said, “Sony used to take up a third of the hall!” She said that the networks (CNN, ABC, NBC, CBS) don’t send the people they used to, and the few they do send spend all their time behind closed doors in meetings, and don’t get out and mingle on the show floor like they used to. So her market wasn’t there to the extent they used to be. I found her perspective fascinating: no matter how much evidence you see to support one view, there’s always another view that’s just as valid. 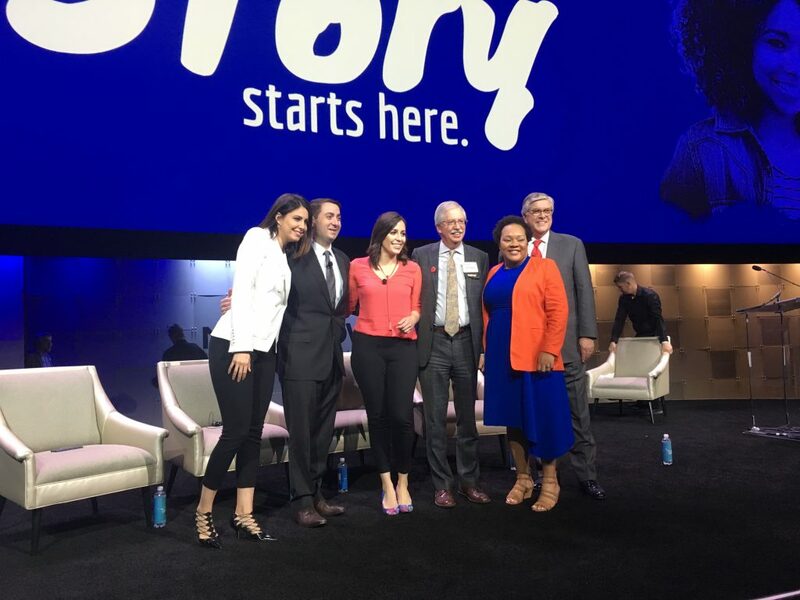 I caught a couple of events on the main stage: opening day, NAB President/CEO Gordon Smith (and former Oregon senator) gave a keynote and ended by awarding MASH actor Alan Alda the NAB Distinguished Service Award. Alan sat for about 15 minutes after the award to chat about his career. 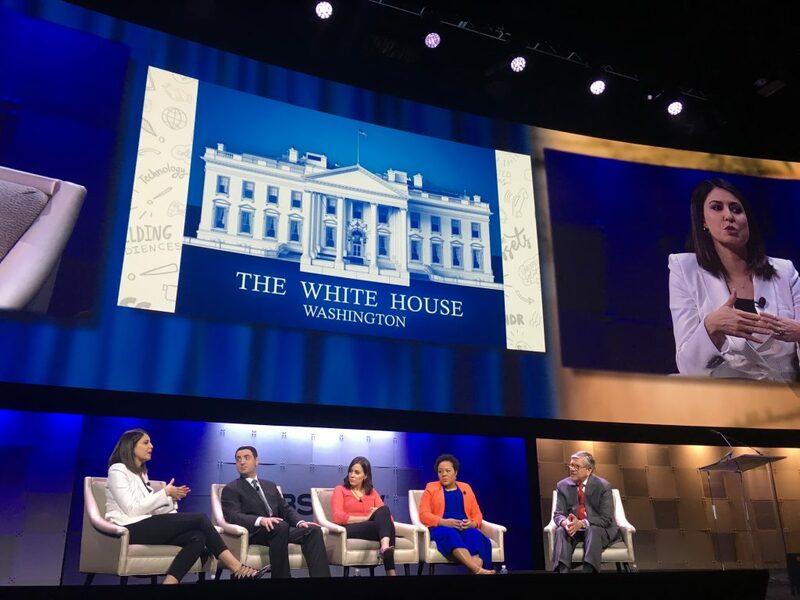 I also caught the next morning’s panel, Tales from the White House Beat, featuring Smith chatting with ABC’s Cecilia Vega, NBC’s Hallie Jackson, CBS’s Steven Portnoy and PBS’s Yamiche Alcindor as they shared stories and insight into covering the Trump administration. I was invited as a blogger which made me a member of the media, so I felt a bit of kinship with these professional journalists. I’ve been in radio news teams, hosted talk shows and been behind the microphone for decades, and it was great to hear the stories they told. Lastly, a shout out to these folks: Josh at Time Lapse Cameras, Kent at Sharp Electronics and Suzy at FeiyuTech for their time and information. They reached out and invited me to check out their latest. Time Lapse Cameras has, as you might imagine, some great little affordable time lapse cameras which can be used to record any number of things from construction to exhibit setup and dismantle. 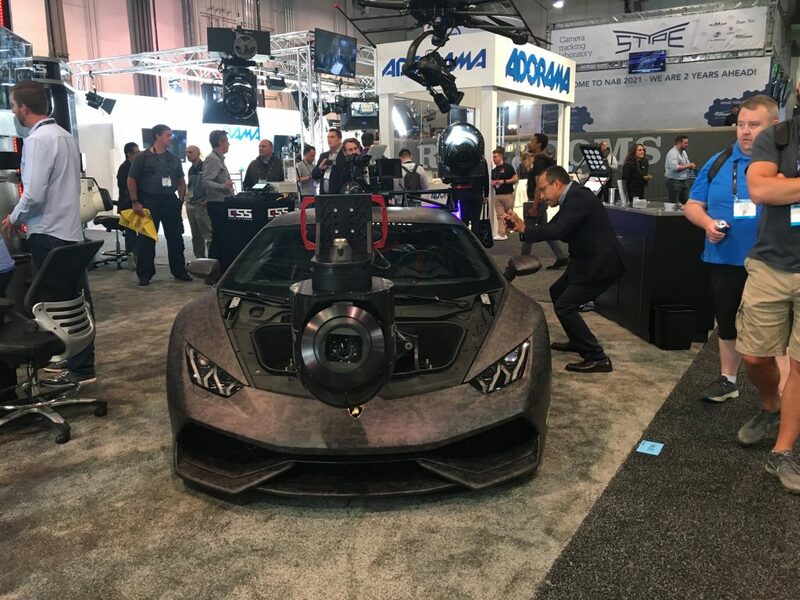 Sharp showed off their new 8K cameras which are out later this year, and FeiyuTech demonstrated a new action camera, the Ricco, along with a handful of three-axis gimbals and other assorted goods for the video camera market. All good stuff and thanks for having me! Is that a weird question: what does your exhibit remind visitors of? But think about it. We all have triggers. There are things that we see in the present that reminds us of the past. Maybe it’s a song that takes you back to your childhood. Maybe it’s a smell that reminds of your first love. Could be anything. Images, colors, stories: they all are shorthand and they can remind us of something. Things that make us happy, sad, safe, tense. 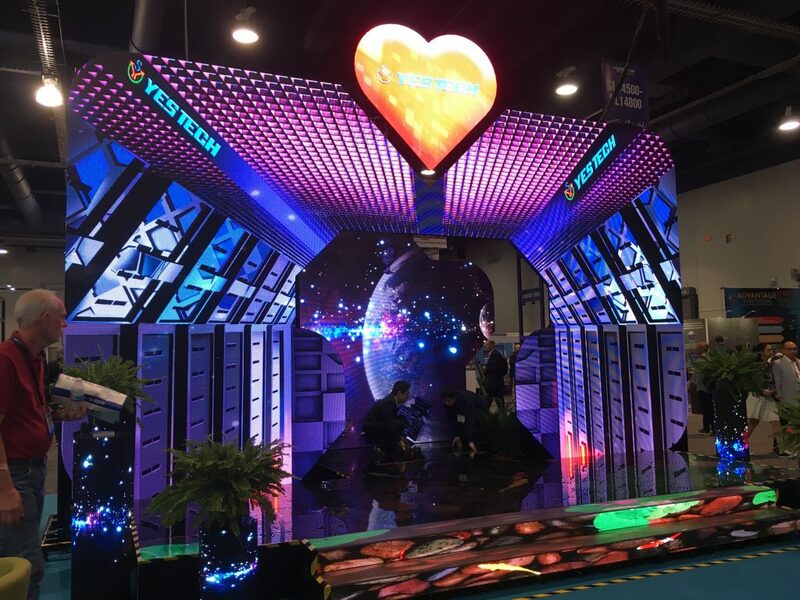 Back to your company’s tradeshow exhibit: what does it remind visitors of? 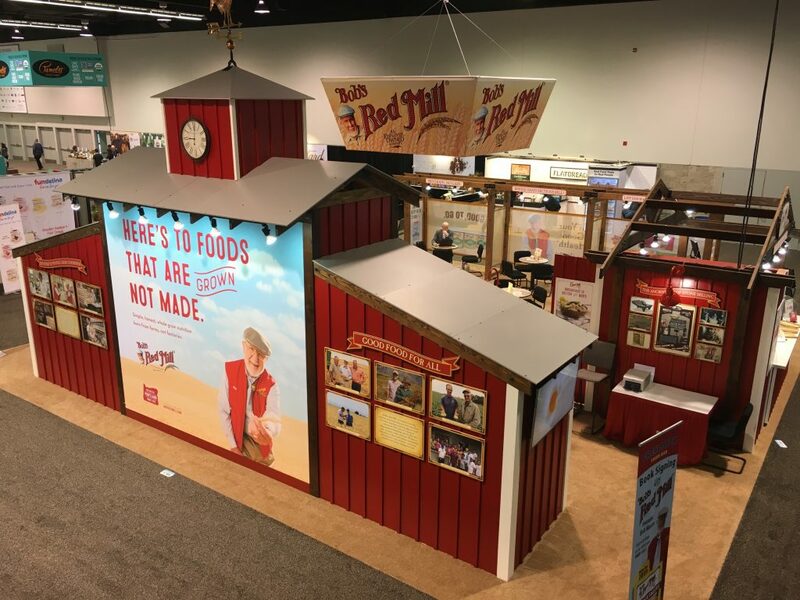 One good example comes from a client of ours, Bob’s Red Mill. Its iconic red mill structure is a stylized representation of what a lot of people see as harkening back to a different era. Mills represent the hand-crafted way of milling grains – the loving labor that goes into producing a high-quality product. We don’t actually see the millstone or how the grains are ground under the weight of the stone, but the mill reminds us of that. 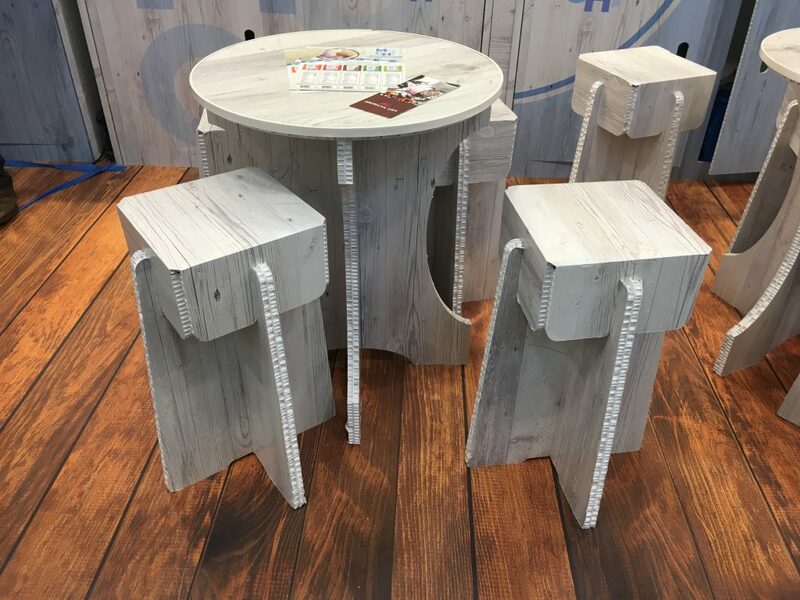 On the tradeshow floor, stories are told in shorthand by using various materials, colors, shapes, fonts and more. Green tells you: earth-friendly, plant-based, life, renewal, energy, harmony with nature. Red is the color of fire, blood, energy, way, strength, power, passion, determination. Orange combines the energy of red and yellow and communicates energy and happiness, enthusiasm, fascination, creativity, determination. When it comes to shapes, meaning can be communicated in a lot of ways. Geometric shapes such as squares, rectangles, triangles, crosses. Organic shapes are more free-flowing: circles, leaves, rocks, clouds, ink blots. Fonts tell a story, probably one of the most important. Every font has a unique personality and purpose. Bold block fonts tell one story, while flowing script fonts tell another. Thin fonts tell a story that’s different than fat ones. There’s a psychology behind using various fonts that are more than I want to delve into here, but the topic is worth taking a deeper look. Some brands have clearly designated, iconic images (the red mill of Bob’s, the iconic “T” of Tesla, the siren of Starbucks, the apple of both Apple Computers and Apple Records to name a few). 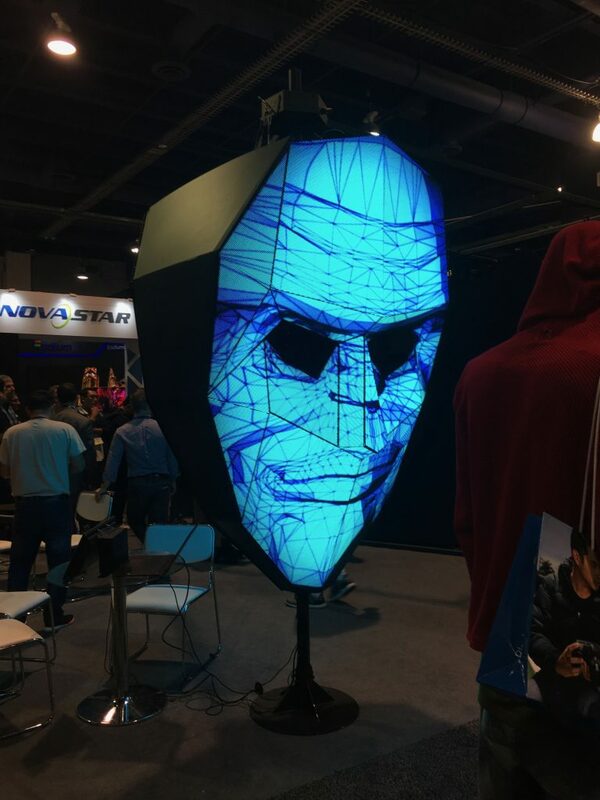 These can easily be put on a tradeshow exhibit design. 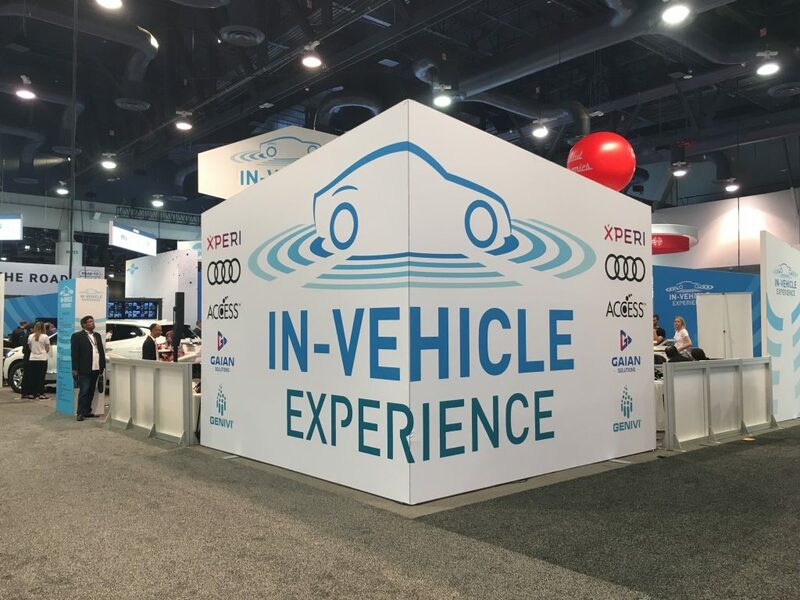 Other brands are less-known or not as well-defined, and in those cases it often means working with a 3D exhibit designer with the skill to use the shapes, colors and fonts needed to clearly communicate the brand’s story in a glance with an exhibit. 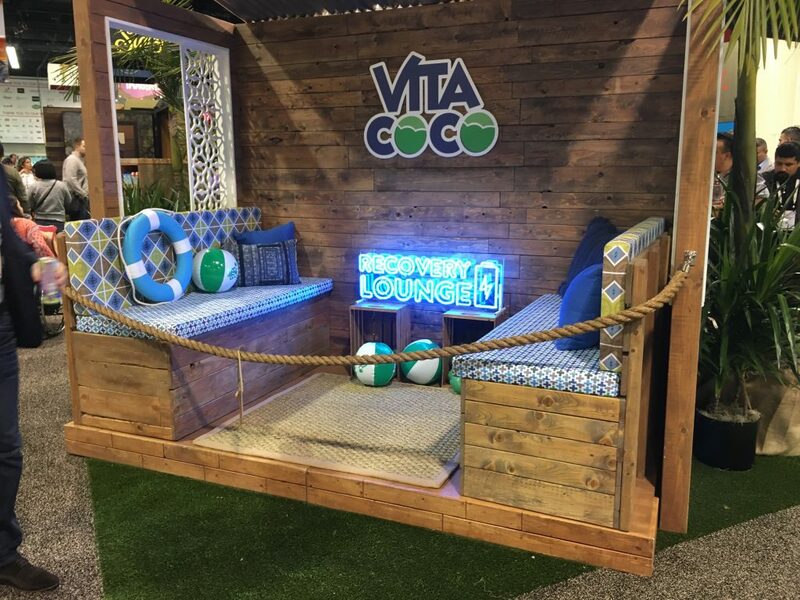 If you don’t have an iconic, easily recognizable brand (yet), we go back to the question: what does your tradeshow exhibit remind visitors of? 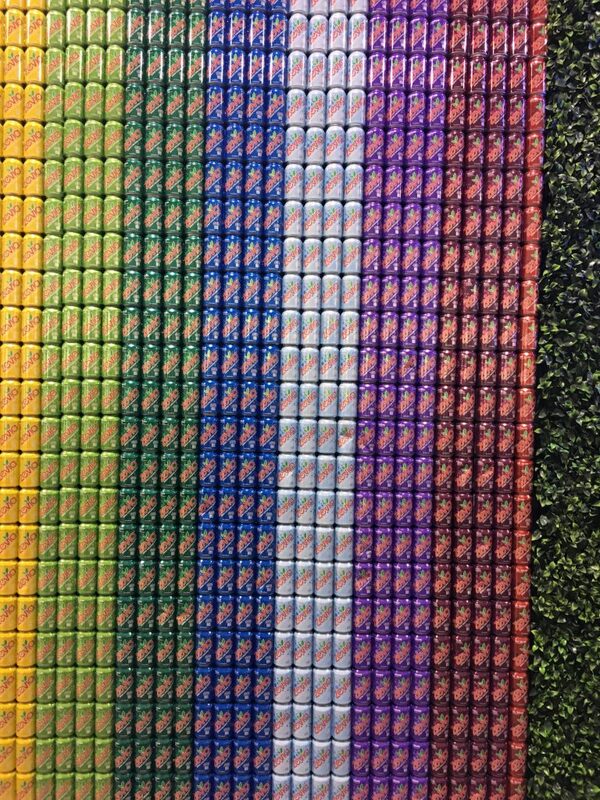 Do the colors evoke good memories and associations? Do the shapes clearly communicate a message that brings up a positive connection? It’s all worth considering as you market your business by using tradeshows. 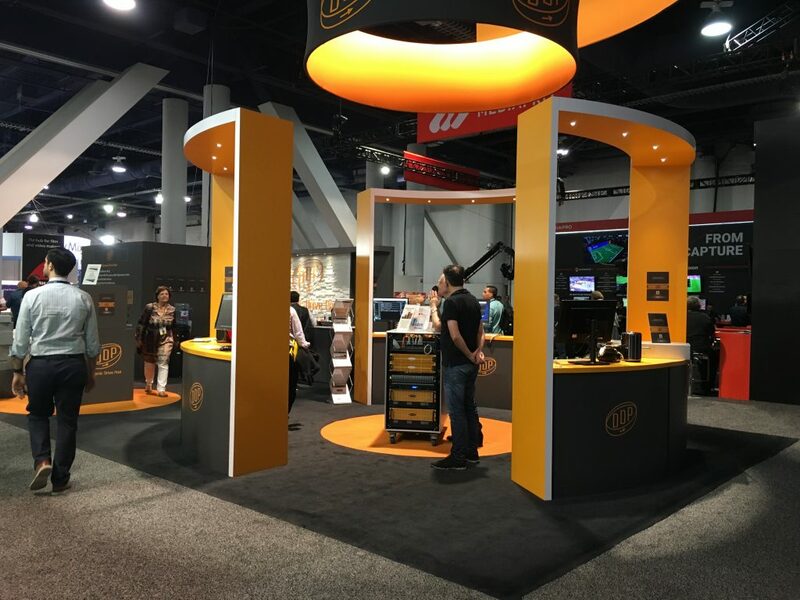 After all, a tradeshow is the perfect place to present a clearly-defined image to your visitors. 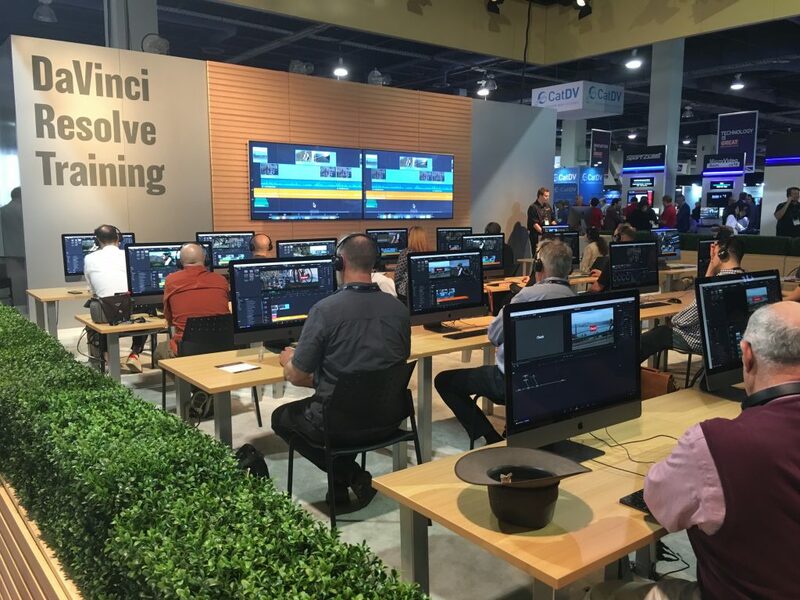 Check it out: NAB SHOW Website. And this week’s ONE GOOD THING is the debut novel from Maurice Carlos Ruffin, We Cast a Shadow. This is a guest post by Kayleigh Alexander from Micro Startups. 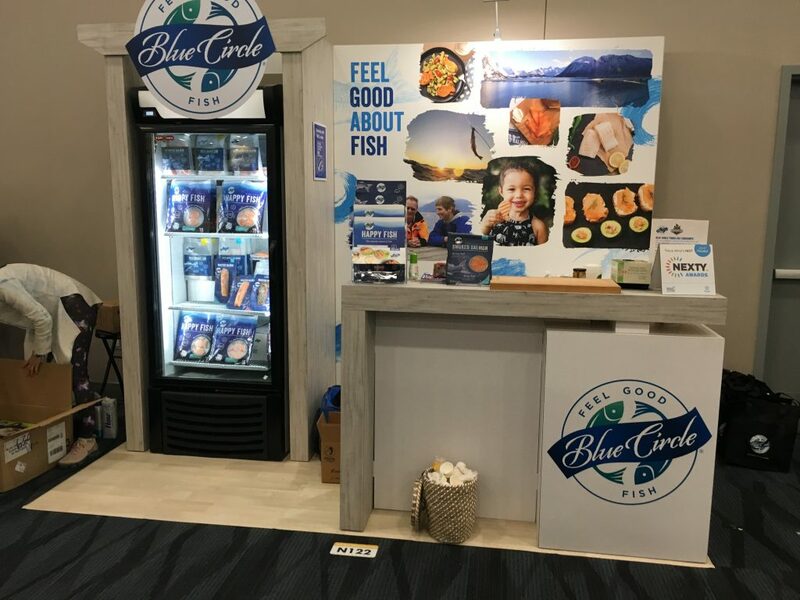 So you’ve had a successful tradeshow, meeting lots of new potential customers and contacts and generated awareness and sales for your product or service. But the work doesn’t stop there. The post-event period is crucial for capitalizing on your tradeshow success and promoting your next event. 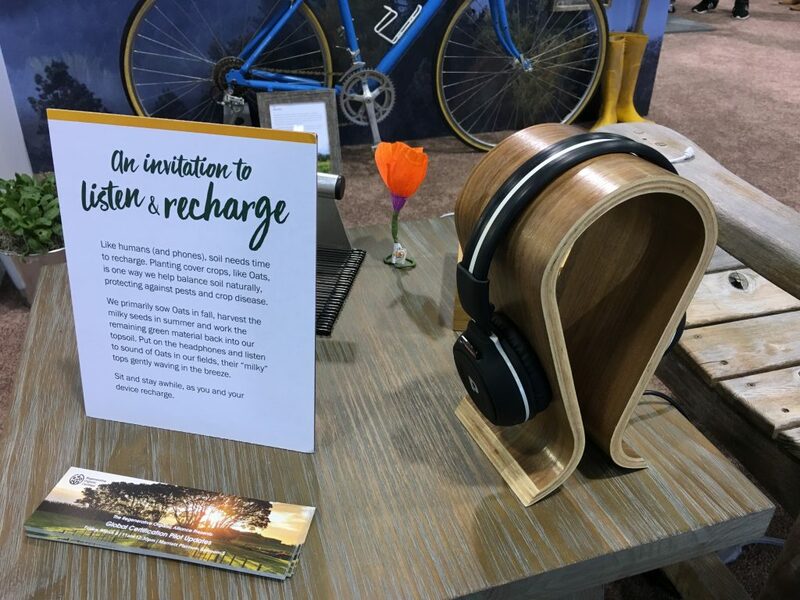 Read on for five cool ideas for great post-event content that will grow your business and ramp up attendance for your next tradeshow. 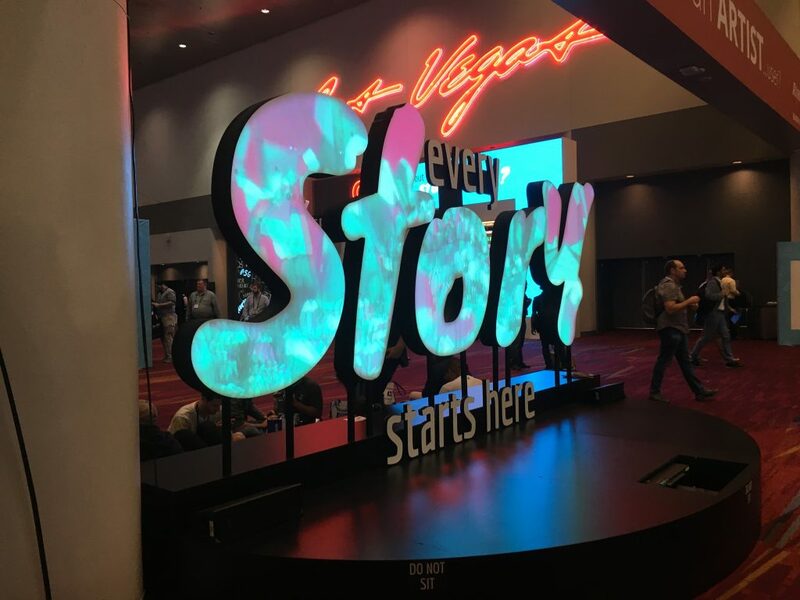 One great idea for some stellar post-event content is a review piece by your attendees. During your tradeshow, you were probably laden down with business cards, coffee plans, LinkedIn requests, and Twitter follows. Consequently, you’ve got a huge bank of people to source post-event reviews from. Reach out to your new contacts with a personalized message and ask them how they found your event, what they took away, what the most memorable point was, and so on. Compile all these quotes into a single piece, crediting your attendee and linking out to their LinkedIn page or website. 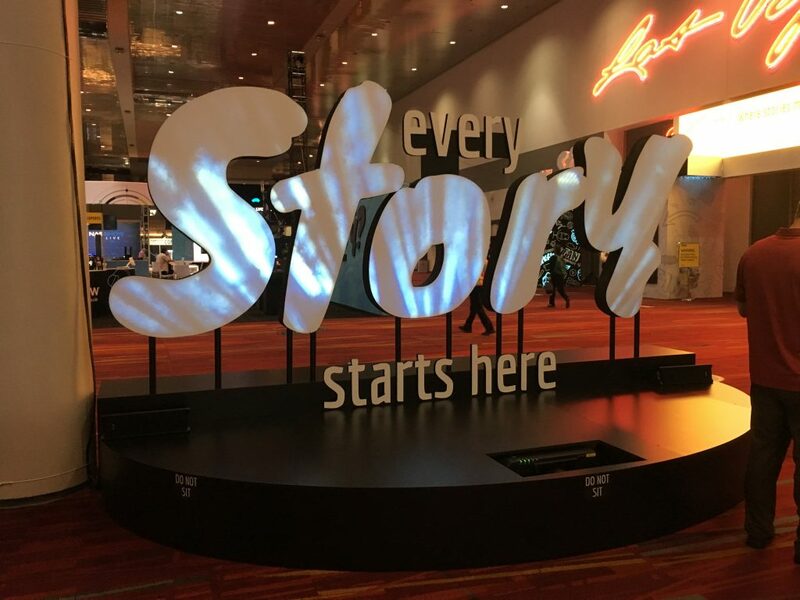 It’s quick content that serves as the perfect marketing piece for your next tradeshow. As well as reaching out to your contacts and attendees, why not reach out to notable industry figures for a post-event review too? These influencers are respected in their field, and can provide insightful opinions on your tradeshow. When you contact these influencers, bear in mind that they probably receive a lot of contact from their peers. Keep it professional and to-the-point. 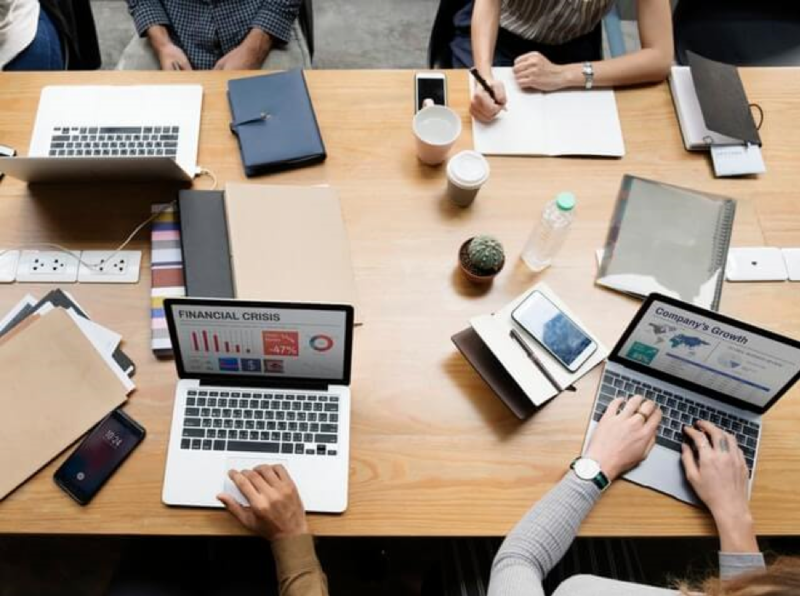 If they’re happy to provide a quote, do the same as you did with your attendees and ask for their insights, favorite exhibit, and any actionable takeaways they can provide. Again, this makes for some valuable post-event content that’s easy to collate. The key here is immediacy. Don’t wait a week after the event to make this content — the sooner after the event, the better. Beyond reaching out to your attendees and industry influencers for their thoughts, just as valuable are your own opinions. 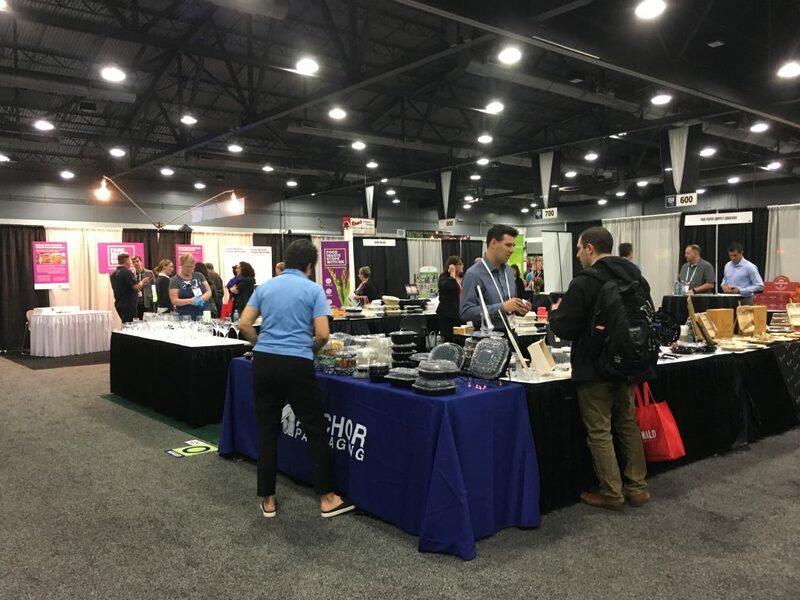 Break down your tradeshow and describe how the day went, who attended, and what attendees were able to take away. 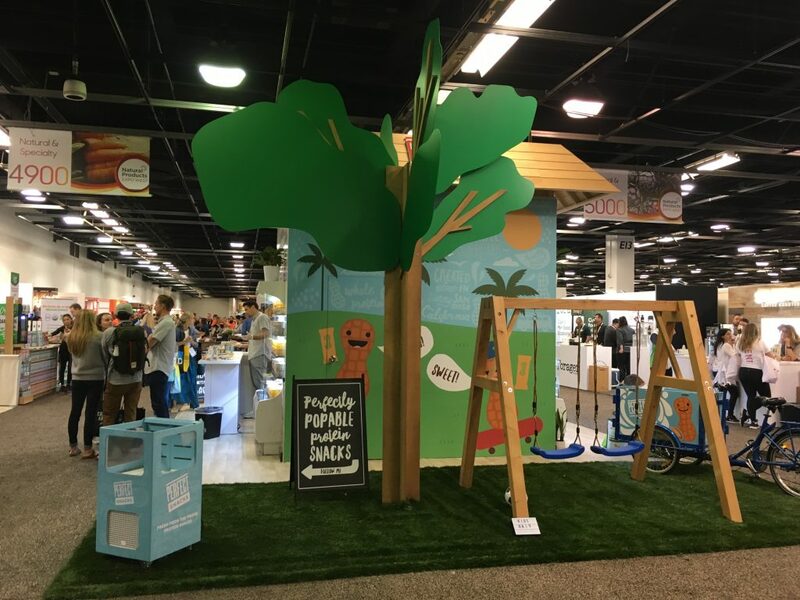 A post-event review from your own perspective keeps your tradeshow in the mind of your attendees. Invite comments from those who attended your event and encourage them to respond with their own thanks and thoughts. 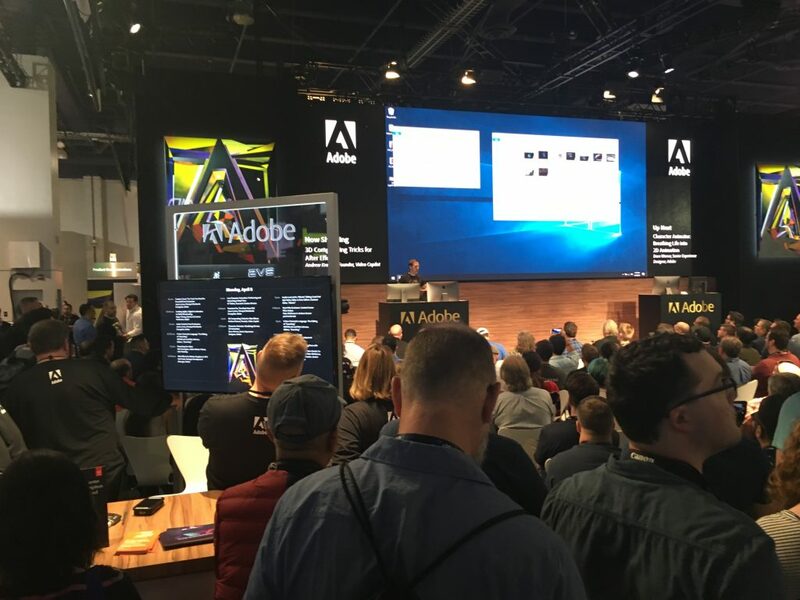 And as well as providing some useful post-event content, this also helps those who weren’t able to attend your tradeshow see what they missed. After your tradeshow, the chances are that your attendees have a lot of questions. While many of them were asked during the event, plenty of attendees will turn to Google afterwards for more information. 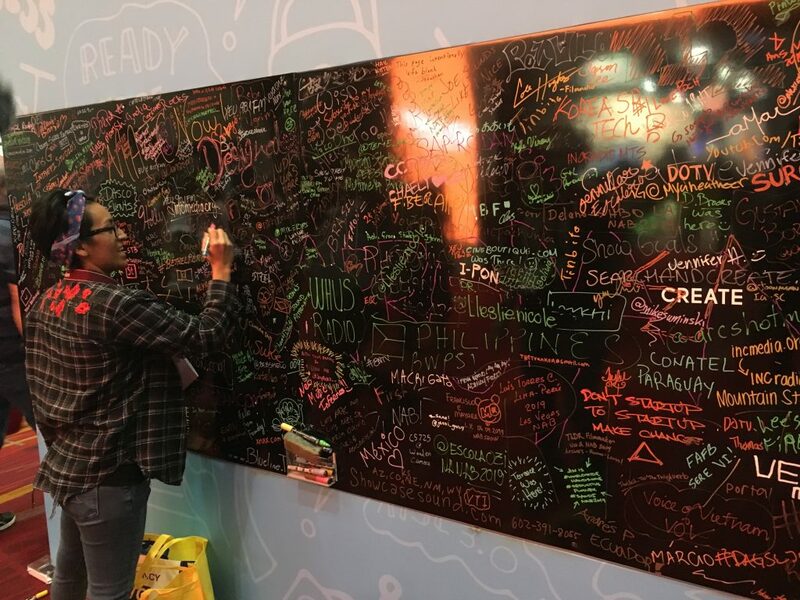 This gives you the perfect opportunity to create content that addresses these questions, directing people to your blog after your tradeshow to drive up engagement. Use search data trends to spot what your attendees and customers are searching for online after your tradeshow. For example, you might spot spikes in certain search terms related to a new product you demonstrated. Create content that goes into greater detail about this, and share it across your marketing channels. This addresses your attendees’ questions and keeps them engaged with your business. Video is a powerful content format that’s popular with your audience and great for post-event marketing. It’s cheap to source and with the proliferation of free online video editors, it’s easy to create a slick video piece too. If you used Instagram to promote your event on the day, it’s still possible to download it and reuse it across your website and email channels. Use the Repost For Instagram app to download the original clip from your social feed and cascade across the rest of your post-event marketing. One piece of post-event content that is guaranteed to delight your audience is a quiz. Quizzes are fun, engaging, and great for creating discussion after an event. Use a free quiz maker to create a quick test of your attendees’ knowledge. Write questions that reveal more about your business, product, or service. For example: “how many states did we expand into in 2018?” or “what was the number one reason why customers used this product last year?” — it’s up to you. This doesn’t need to be particularly demanding — the emphasis here is on fun rather than competition. You could even turn this into a lead generation exercise, offering people the chance to win if they provide their email address when they complete the quiz. 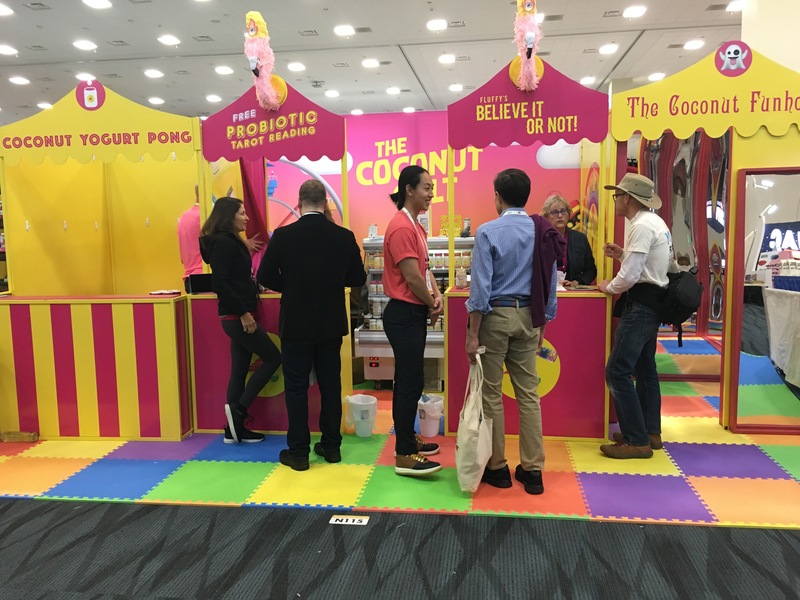 The period immediately after your tradeshow is ripe for boosting your business and marketing your next event. 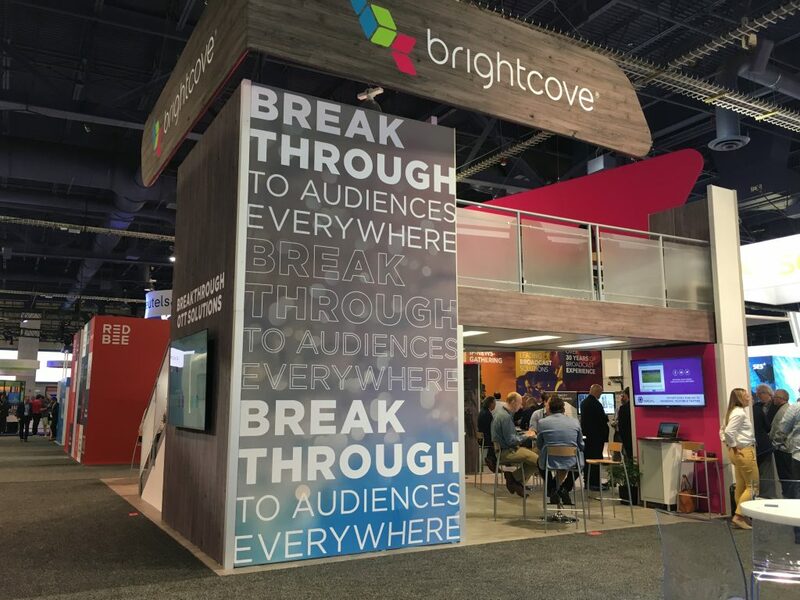 Use the ideas above to create a great post-tradeshow content strategy that will keep you going for time to come. MicroStartups helps aspiring entrepreneurs achieve their dreams, however big or small. 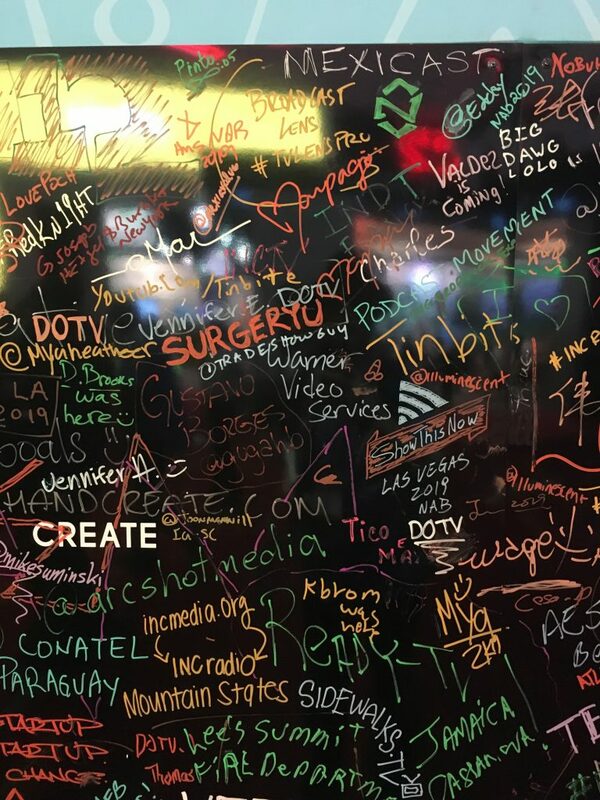 We love sharing the microbusiness message around the world. 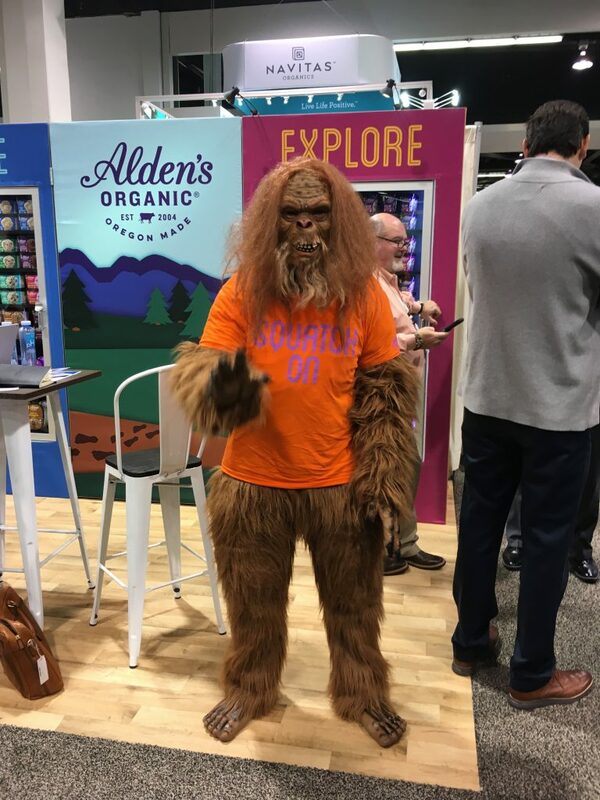 Naturally, your eyes will be on several different things when you are walking the tradeshow floor. And your agenda will be different as an attendee vs. an exhibitor. 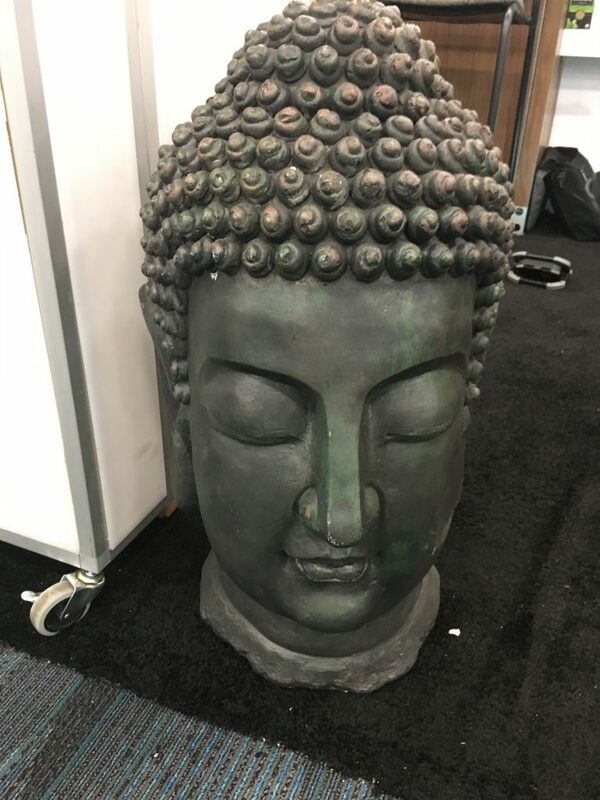 But if you keep your eyes open, you can spot a lot of cool and interesting things on the tradeshow floor. 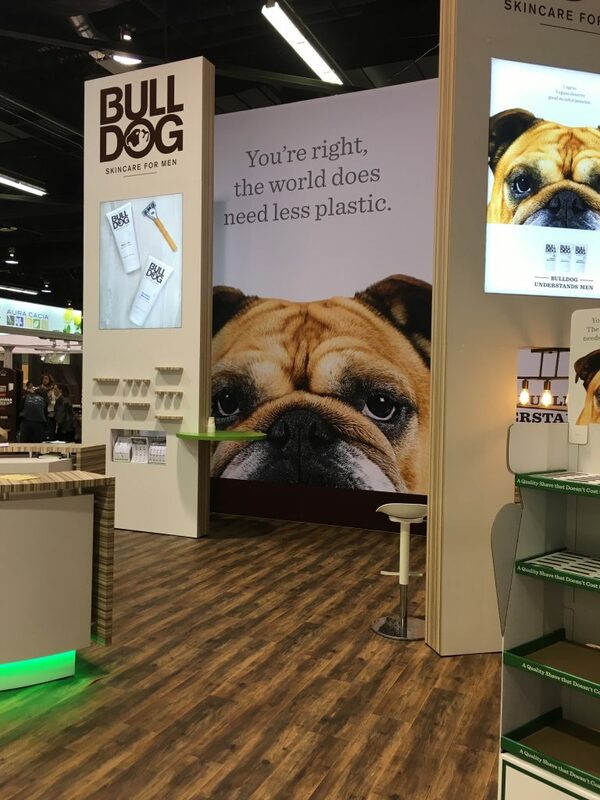 The first day of a tradeshow, when the doors open for the first time, the first things you’ll see as you walk through the floors is how bright and clean everything is. Hundreds of people, maybe thousands, have been working for days to put on their best for you and all of the other attendees. 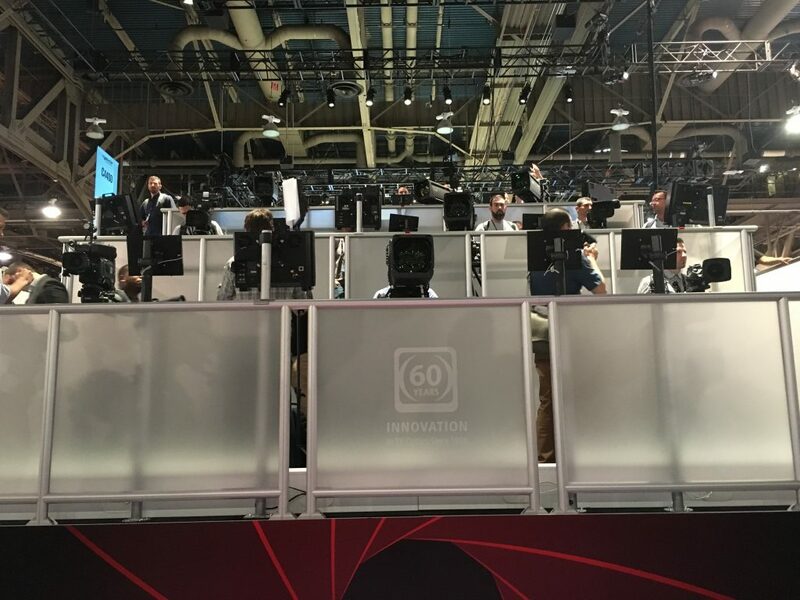 What do you see when walking the tradeshow floor? 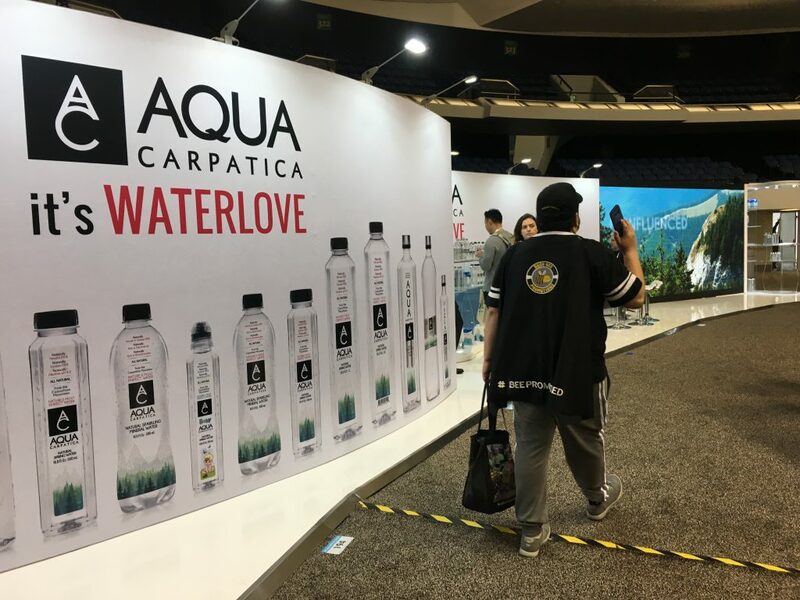 When you walk by a booth, look for the brand and image. Is it well-represented? Are people smiling and greeting you, but not pushing themselves on you? Are they asking good, engaging questions that make you stop and respond? Are they trying to catch your eye? 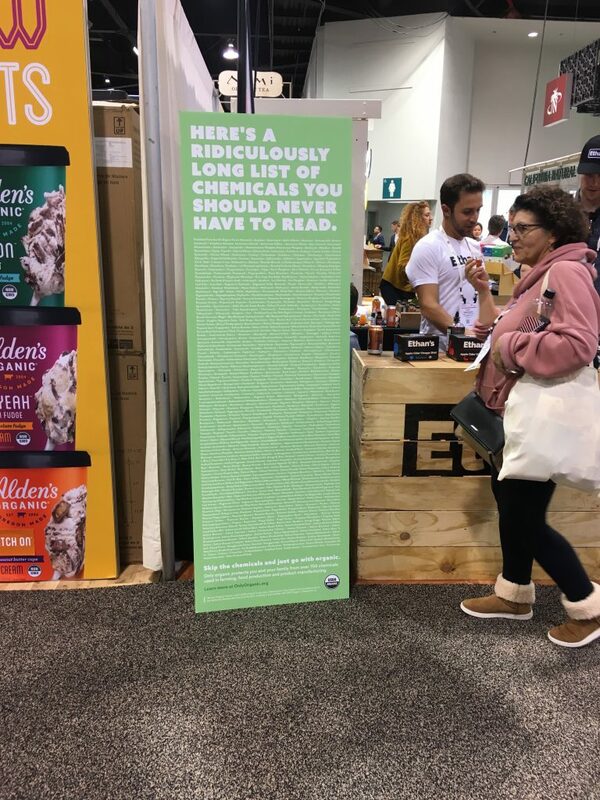 Is their booth made from sustainable materials? Can you tell? Is that part of their message – that they are a company dedicated to being as ecofriendly as possible? Also look to see if they have new products. If they have samples, are they easy to reach? If they have demos, do they look easy to engage with? If they have a professional presenter, is it obvious that’s the case and is there a schedule for the day’s presentations easily available? 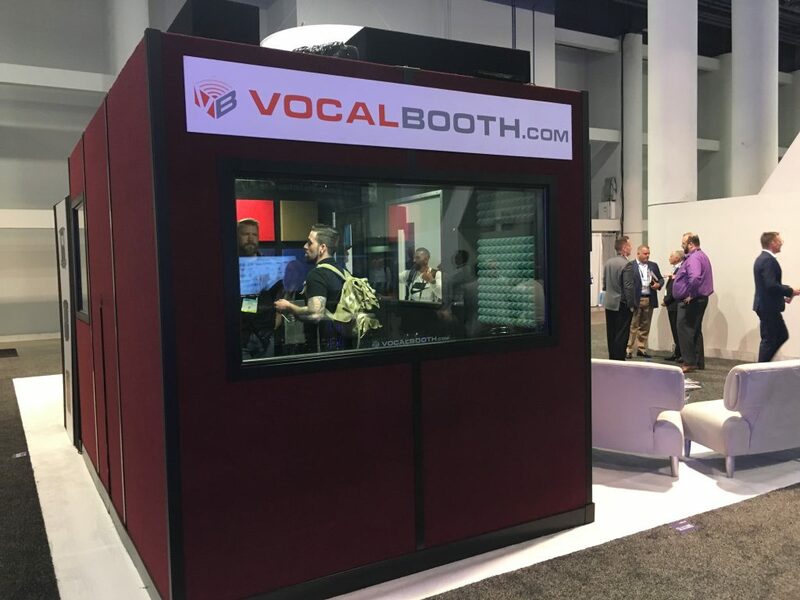 Is the booth crisp and clean and sharp? Or do you see ragged edges? Is the carpet spotless and brand-new looking? All of these things suggest something to you and help determine what your impressions of the company will be. If the company is giving away promotional items, is it obvious? If they have some sample-like things on display but are not for giveaway, is that spelled out? Are they looking to collect business cards in a fishbowl? Why? What is their lead capture strategy? Are they talking with people, or just engaging enough to scan a badge, thinking that is going to be enough? 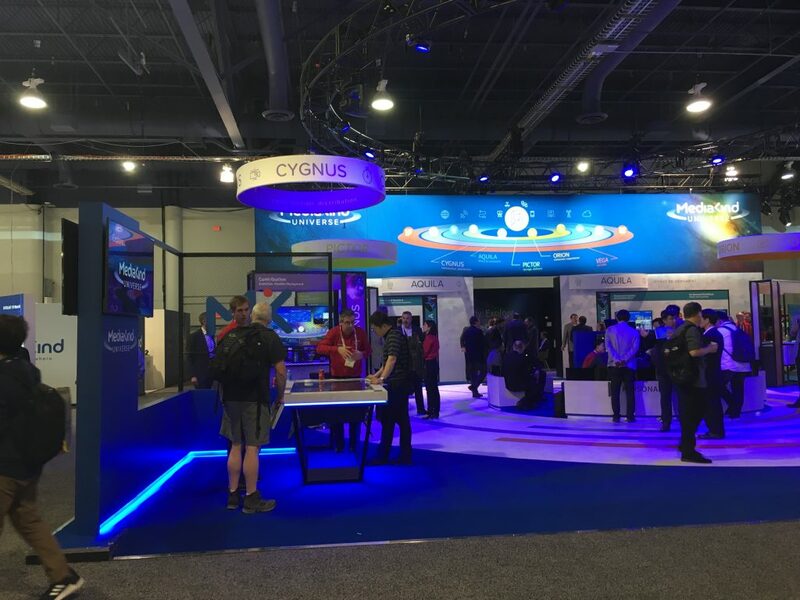 Later in the day, or on the second or third day, look for places where the booth might be fraying, where garbage might be piling up, where personal belongings are spilling out of a storage area. Look for stories. People engage with stories and the companies that best tell their stories will be the most memorable. What stories are the exhibits and their products and people telling? Look for teamwork. 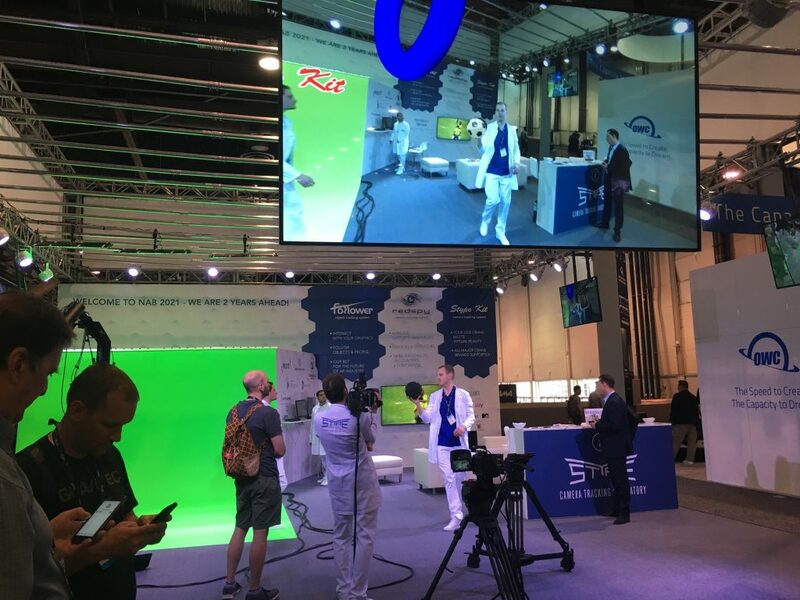 Is the booth staff operating as a team, or do they just seem to be….there? Are they dressed in identifiable same-color tees, for example, or are they just in typical work clothes? Can you tell who’s a staffer and who’s not? If you can walk the floor and make mental notes on day one, digest what you see, try again on the last day of the show when people are almost in their “bug-out” mode. Things will be mighty different! 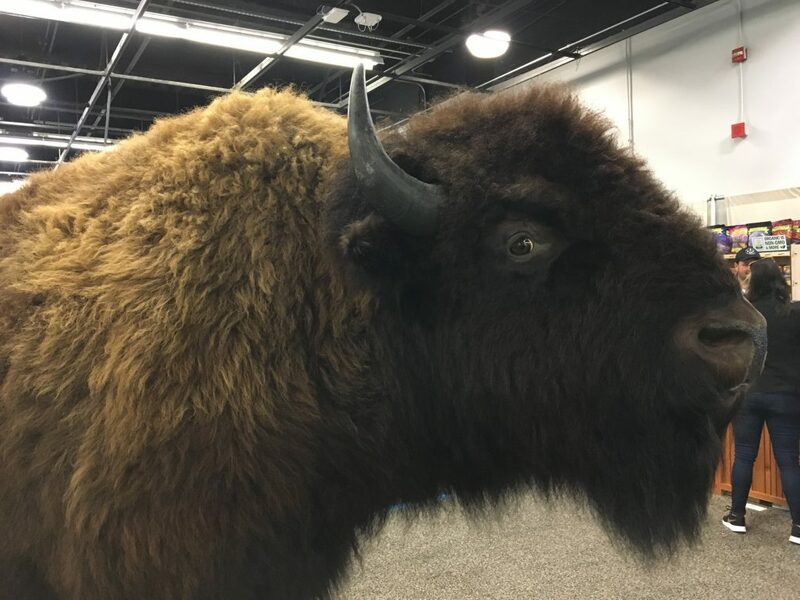 The exhibit halls at the Natural Products Expo West closed Saturday at 4 pm. By then, exhibitors were handing our their remaining samples, packing up things they could and getting ready to grab flights home. The last day of a big show like this one is always a bit different. Not as many attendees as the first couple of days (although still very busy), which left staffers with a little more time to chat in a relaxed mode. Which is a great opportunity to meet people. Which I did. Even though I was pretty much dead on my feet by mid-day, I kept pushing through, knowing the end was in sight. I spent some of the day checking in with all of our clients that we had scheduled for dismantle the next day to make sure paperwork was all in place. Things don’t move in a tradeshow without the right paperwork! 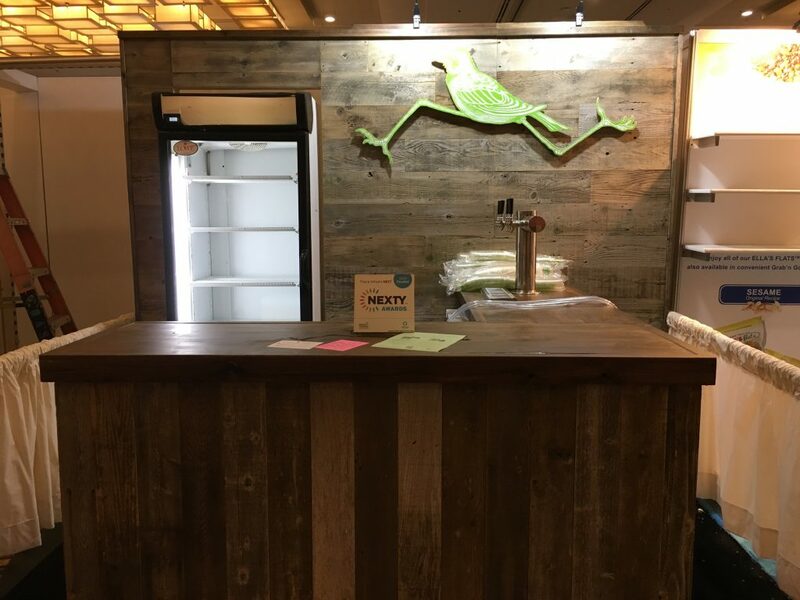 Saturday started early by assisting in the dismantling of a new exhibit for a new client, Hop Tea, from Boulder, Colorado. 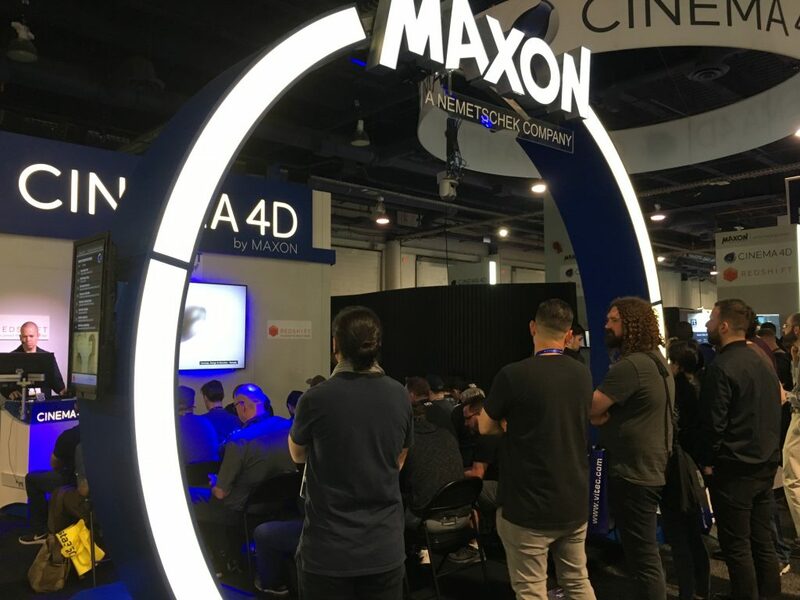 They were set up in the hot new products section of the Hilton Ballroom, which meant that their exhibiting schedule ended a day earlier than the main halls in the convention center. I’m told they won a Nexty Award for new products, and their business – less than a year old – is off to a quick start. Glad to be able to be a part! By the end of the day, I was done. Beat. Exhausted. So it was back to the Airbnb for a relaxing night, the only one of my 6-day trip. Friday night it was fun to spend nearly two hours at the Oregon Business gathering at McCormick and Schmick’s near the convention center. 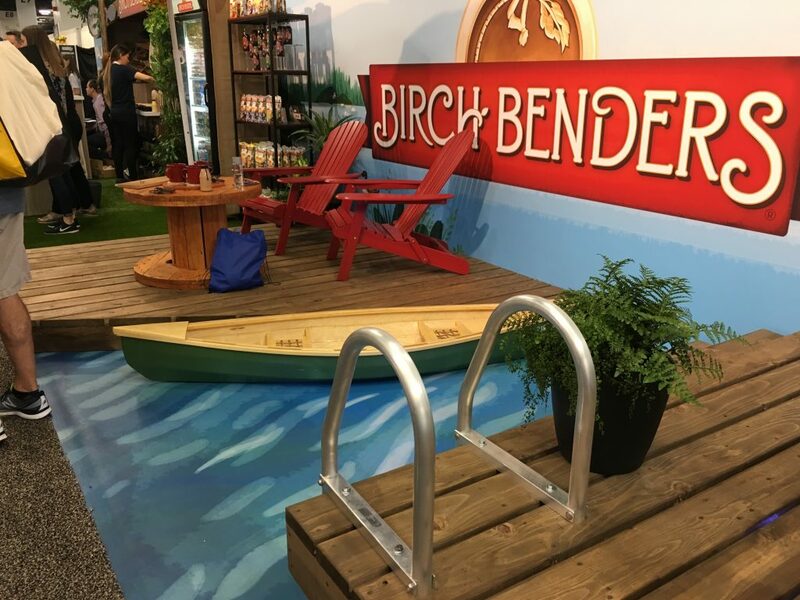 It’s a gathering that has happened for several years, and is designed to show off Oregon products from companies that may not necessarily be exhibiting at the show. Food and libations and good conversations flowed. Sunday morning it was the dismantling. I was overseeing the takedowns of five booths by Eagle Management, which has proven to be a good partner: resourceful, efficient and generally quick to get things done. My job was mainly to make sure things were happening in a timely manner, and taking care of the paperwork: shipping BOL’s, printing shipping labels, etc. I admit I find it fascinating to see the before and after (and the during) of big shows. Once the show is over, hundreds of union workers come in and dismantle things quickly. It’s a helluva sight, really. Even though our truck was in line to pick up crates by the check-in time of 8 am, they weren’t able to load freight and leave until after midnight. Crazy, I know. Yes, it’s a busy show and hundreds if not thousands of trucks are all in a queue awaiting their call. Overall impressions this year? It seemed busier than last year, if that is possible. New Hope usually posts their press release with exhibitor and attendee numbers within a few days of show close, so it’ll be interesting to review this this week. From the list of exhibitors I visited last year, 25-30% of them were not at this year’s show. 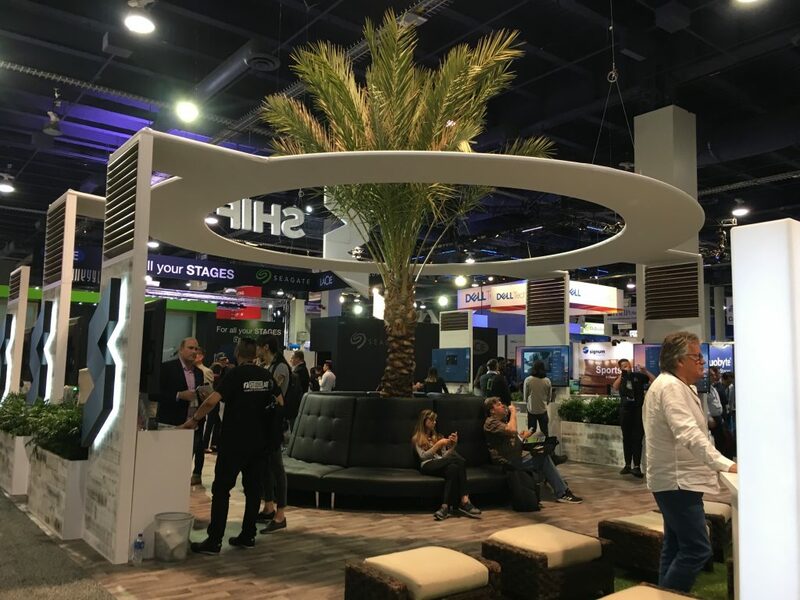 Big shows like this are expensive, and not all companies are ready to hit the big time and try to connect with thousands of buyers, brokers and retailers. That doesn’t keep younger, smaller companies from trying, though. Often the difference between success and failure at this level is having and executing a good plan, no matter what type of exhibit you have. I shouldn’t be surprised, but every year when the full exhibit floors are open, I am still a bit astonished at how many people are walking the floors. 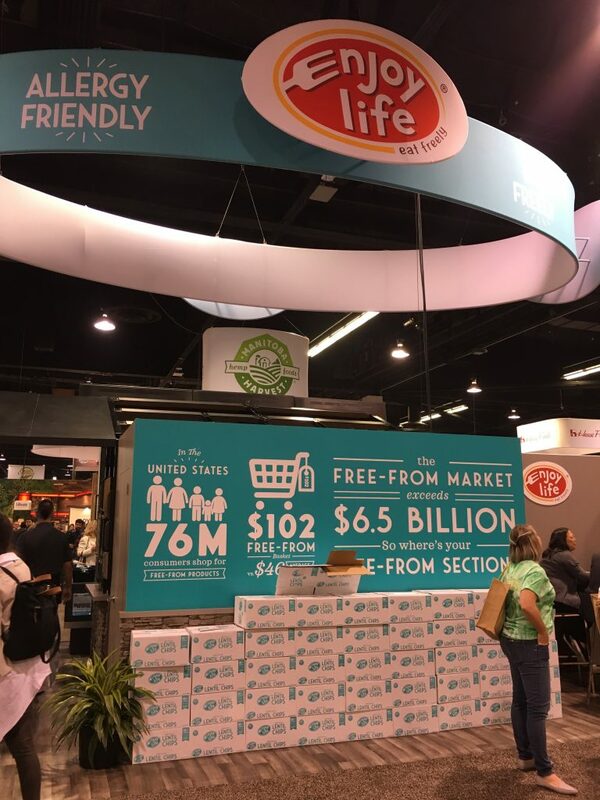 With over 80,000 attendees, Natural Products Expo West is a huge show. 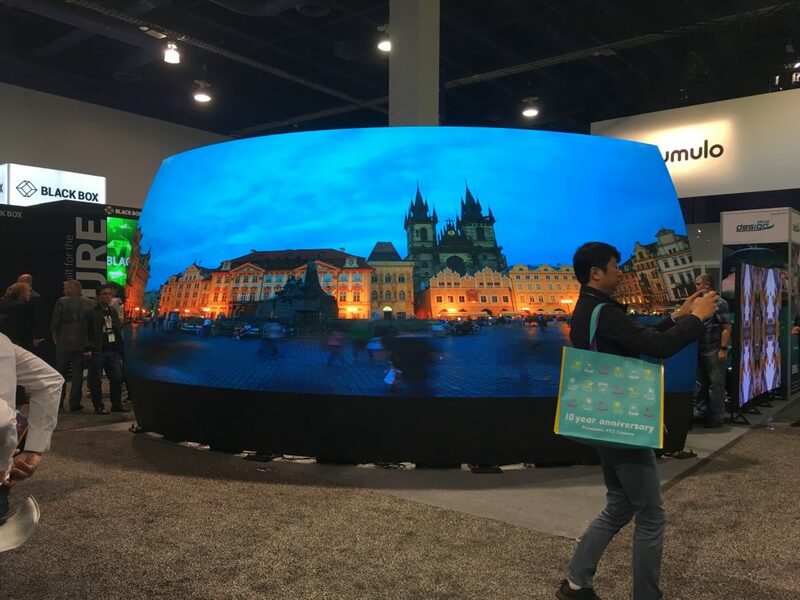 Not as big as the Consumer Electronics Show, but still mighty big. So I spent the day walking, walking, walking and then walking some more. 19,221 steps according to my Fitbit! One major goal of the day was to make sure all of our clients were taken care of, so that meant making a stop at Target for requested supplies from a couple of them. Later in the day another client asked if I could track down a stapler, so after a few back-and-forth texts, another client was willing to lend their. I love when everybody helps out! The second major goal was to drop by and say hello to exhibitors that I’ve met previously. 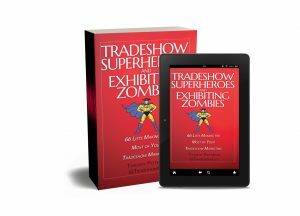 As you may know, I’ve published two books on tradeshow marketing (here and here), and they are great calling introductory cards to start a brief conversation. Having been attending the show for almost two decades, lots of them recall me from previous years, so it’s good to reconnect, if only briefly. My main question to them is “how is the show going this year for you?” and 95% are very positive. One person said they weren’t coming back next year – they are just not getting the audience they want. 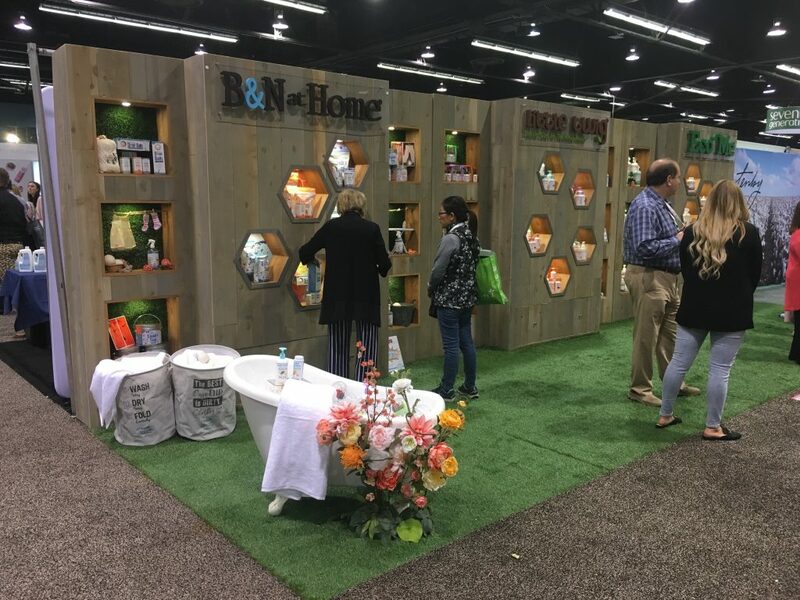 The complaint is that the attendees in their booth were either other exhibitors or brokers and not retailers, which is what they want. I understand that not everyone has a great experience. I checked my list from last year and found that about a third of them are not here this year. From my perspective (anecdotal, not backed up by any data), there is a lot of turnover. But companies are still chomping at the bit to get into the show. Since I’m Oregon-based, I lean towards finding Oregon or Northwest exhibitors. Many of them see me year after year, so even though we may never do business, it’s always good to make a brief reconnection. No selling, no pitching, not even a hint. Conversations usually revolve around (again) how the show is for them, and how their business is doing. 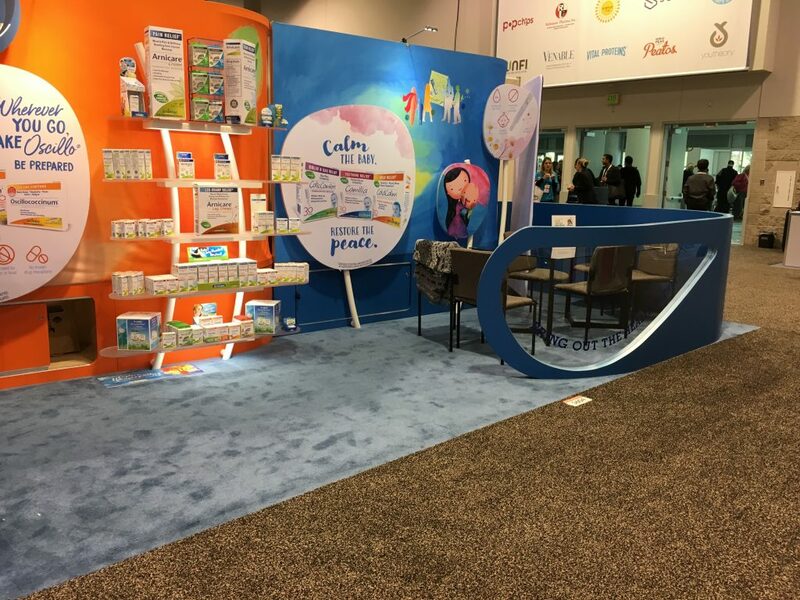 So many businesses that I speak with are growing quickly, expanding product lines, and occasionally expanding their exhibit space. So I know that the industry as a whole is doing very well. Over the years it’s been interesting to see some of the things that pop out and get your attention. A couple of years ago I couldn’t turn more than 90 degrees without seeing another bone broth product! This year, I see a lot of CBD-related products. I also see a lot of oat milk and keto-related products as well. I’ve probably made this observation before, but it’s hard to walk the show floor without eating a fair amount of food. 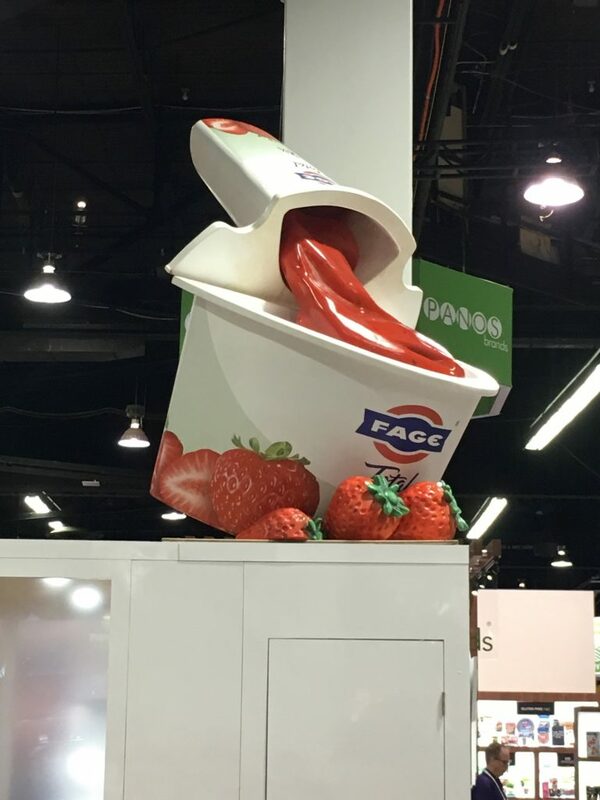 Most exhibitors offer samples, and many are literally pushing them on you. A bite here and a bit there, and after a couple of hours, you’ve had the equivalent of a meal. And it’s all (well, almost all) really good! Let’s close out today’s diary with a few photos of some of the exhibits at the show. 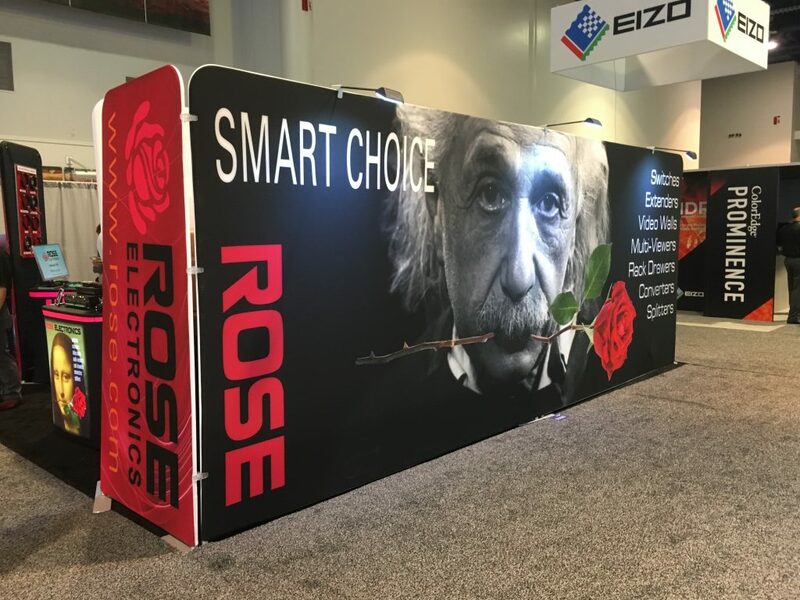 Backlit fabric graphics are still popular, as are eye-catching one-of-a-kind items in booths. 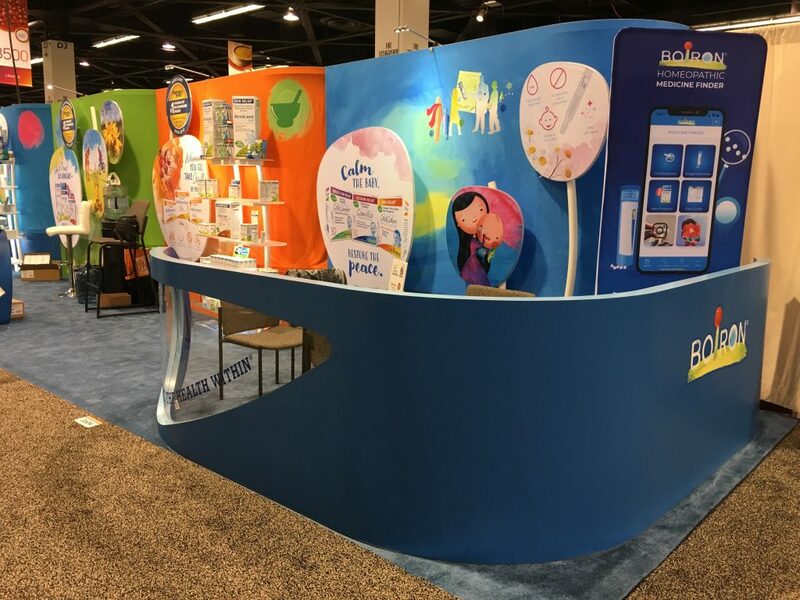 Exhibit designers never cease to impress me with ways to capture eyeballs, communication messages in a 3D format and attention to detail. 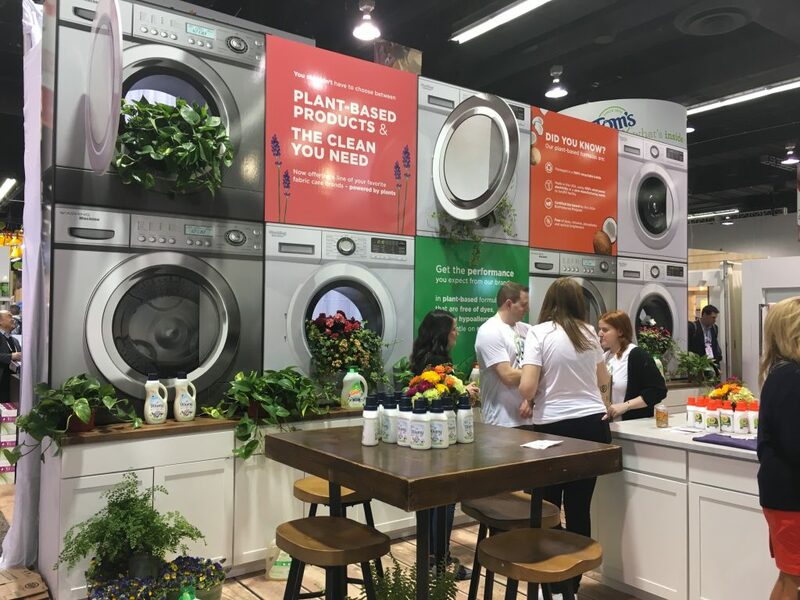 Natural Products Expo West kicks off this week in Anaheim, California. 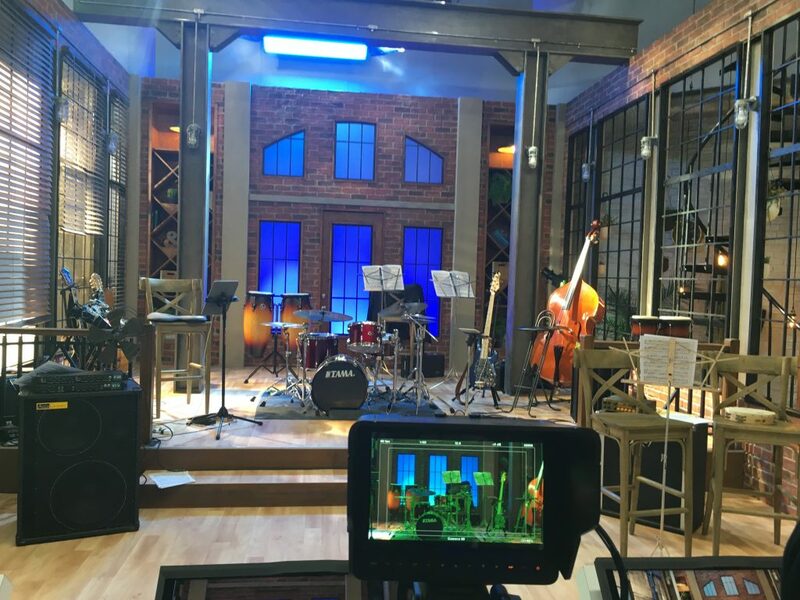 I’ve had the opportunity to experience this show for the past 16 years, so I think I can safely say I have a pretty good perspective on the show. What will the 17th consecutive year bring? 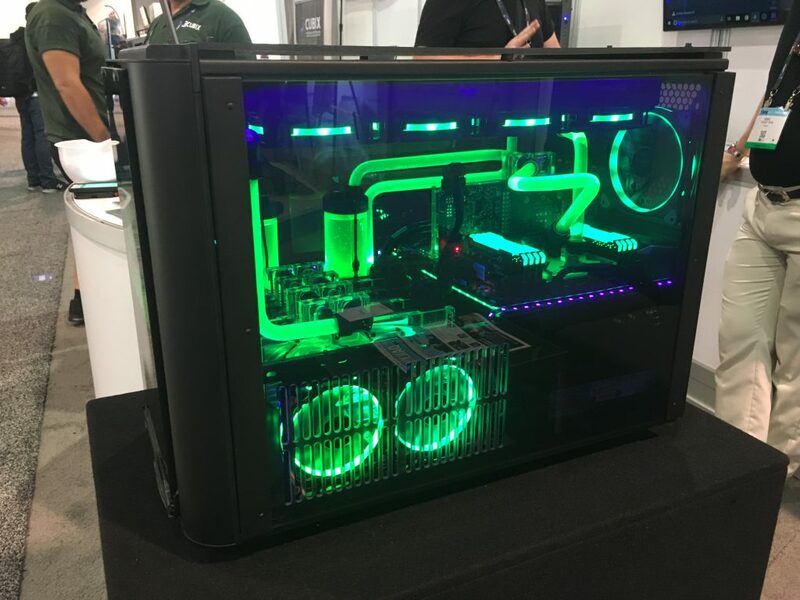 We have a total of nine clients that we’re active with at this show (with other older clients standing pat on their current exhibits), including 4 new custom-design builds. Stay tuned to my Instagram and Twitter accounts this week to follow, and see photos of our new projects! This week’s ONE GOOD THING: Air Travel. What would we do without it?